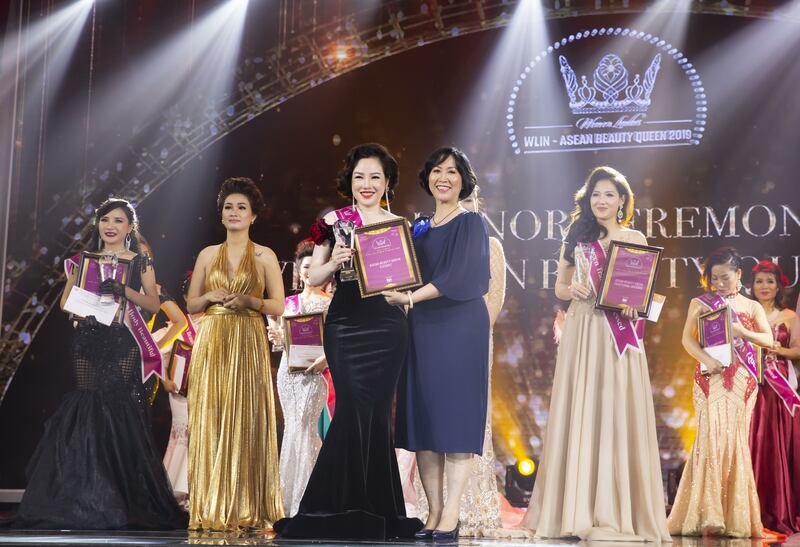 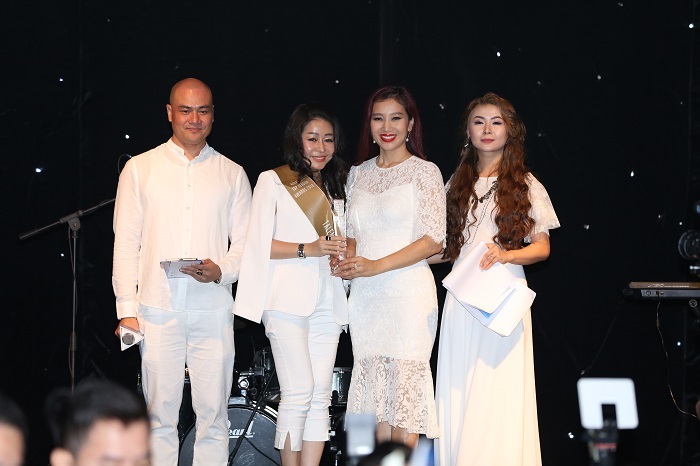 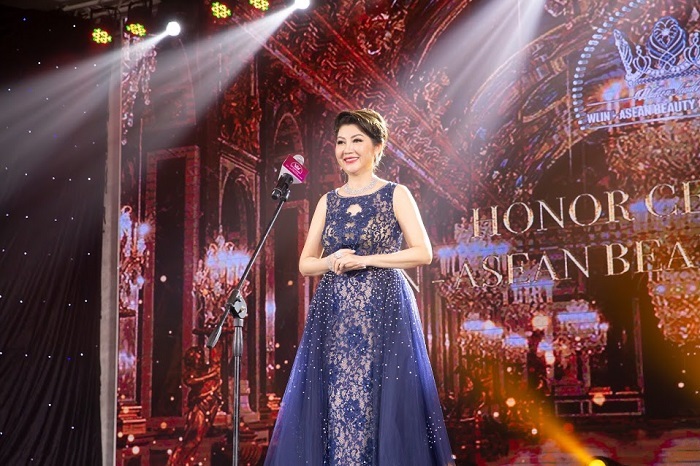 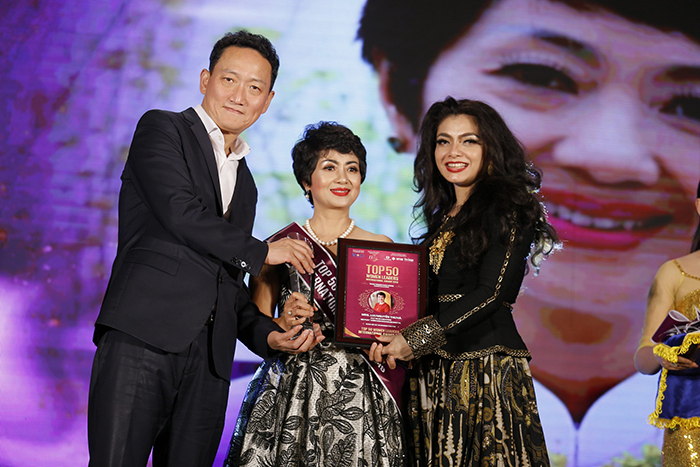 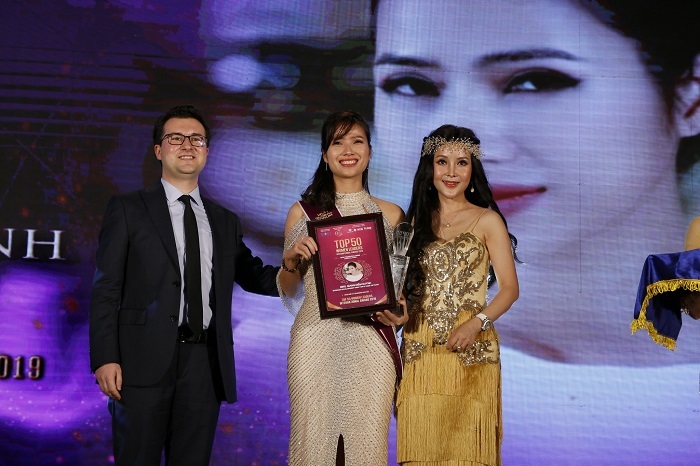 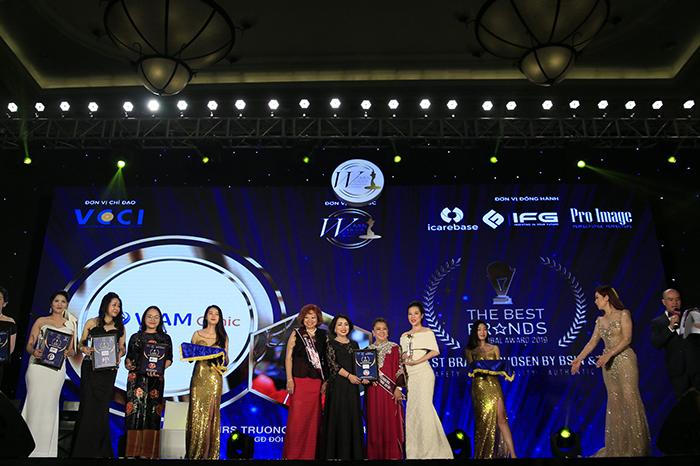 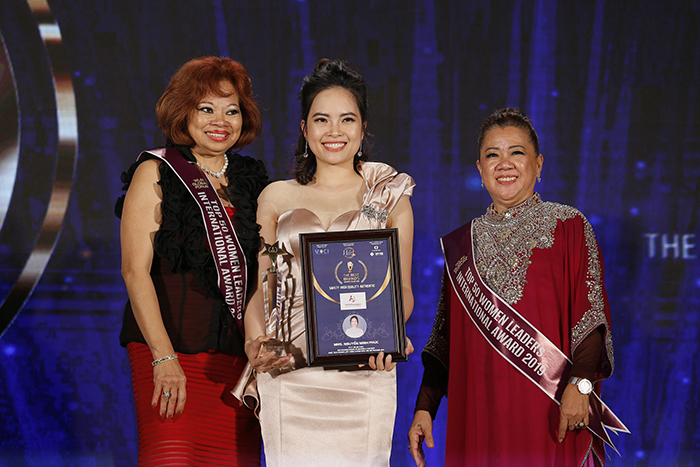 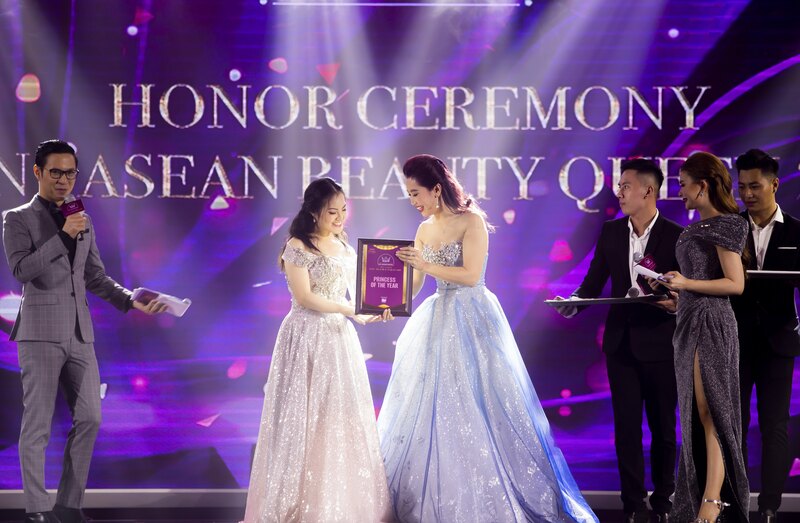 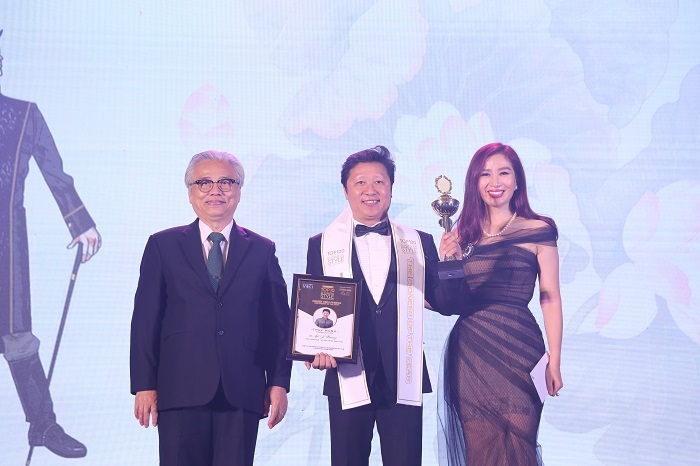 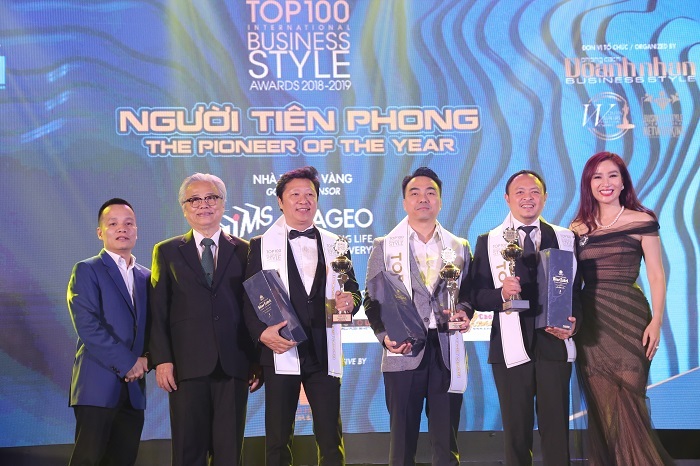 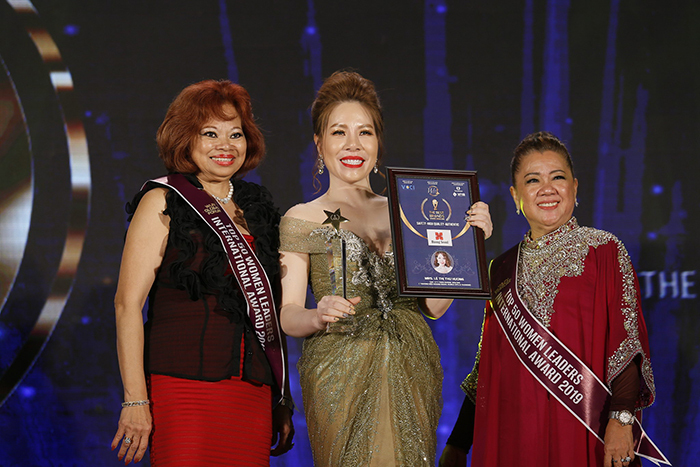 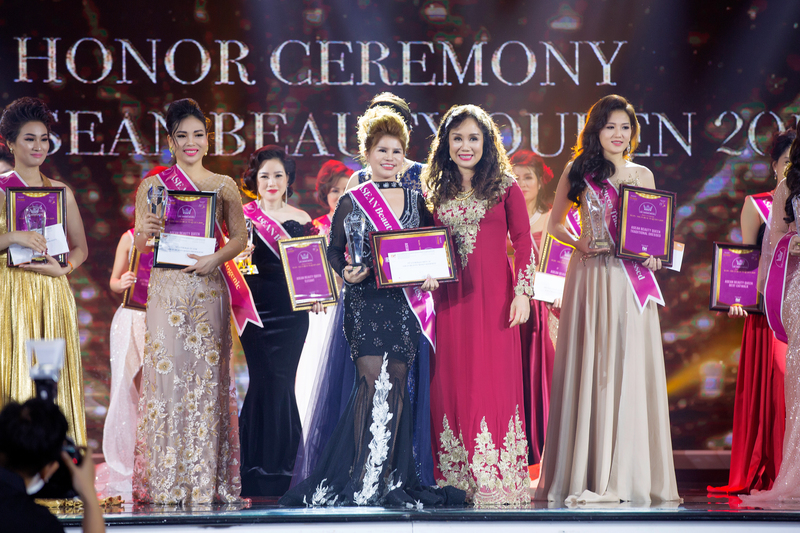 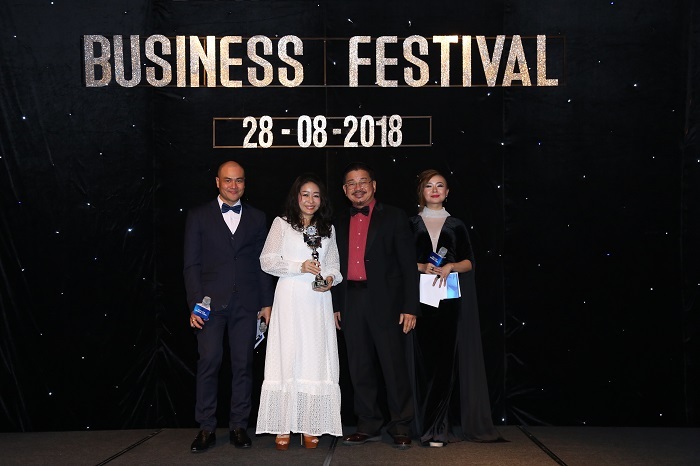 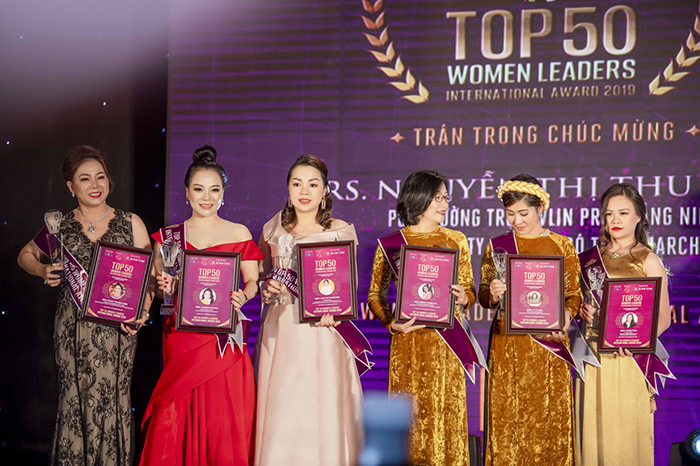 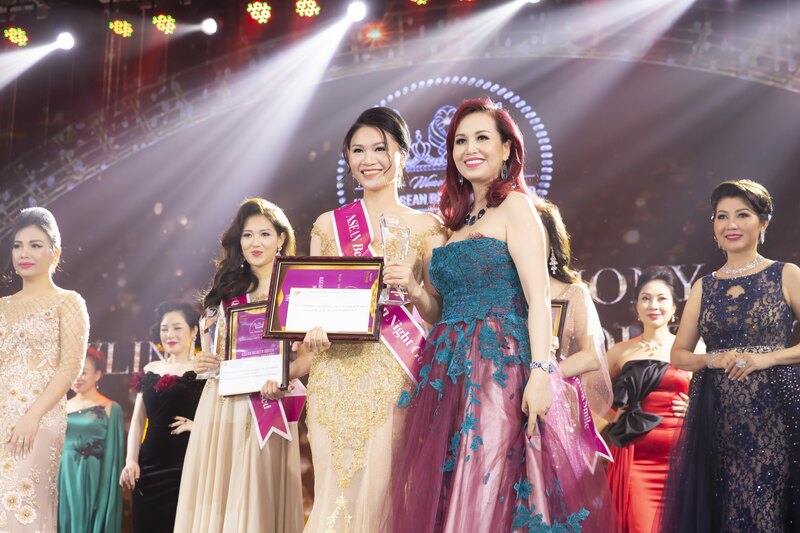 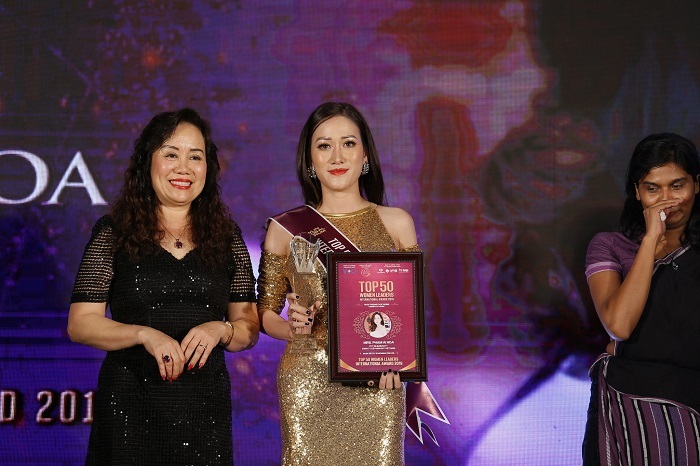 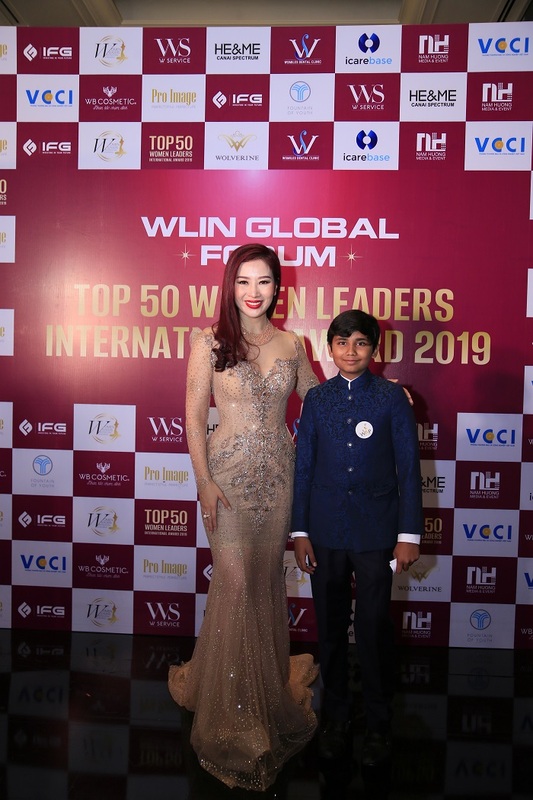 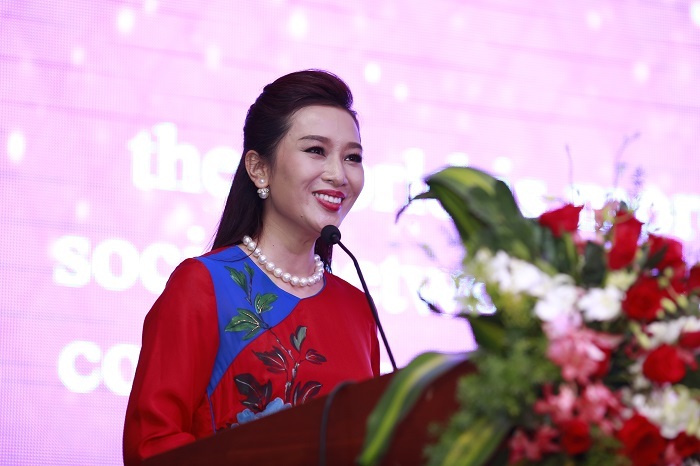 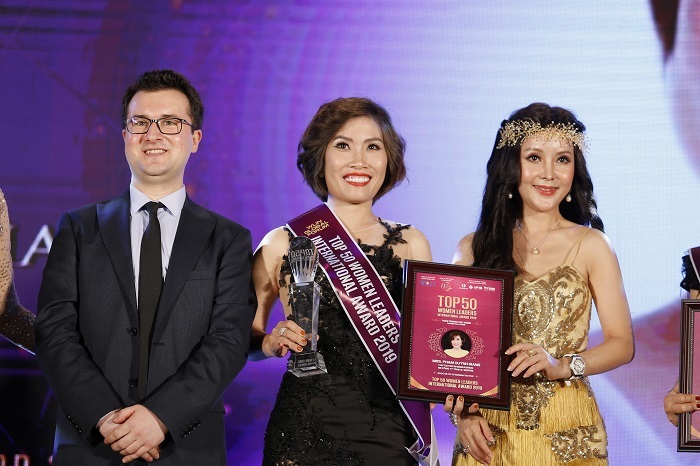 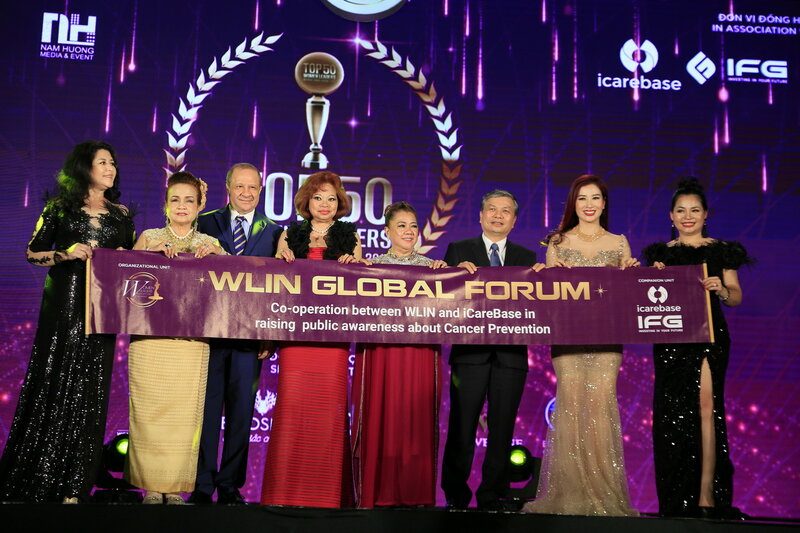 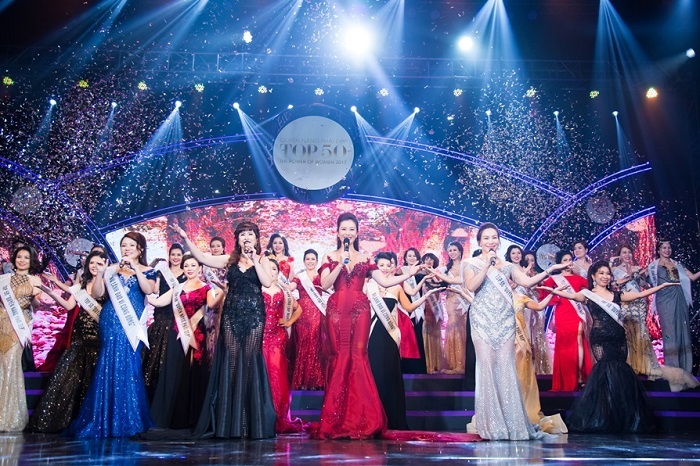 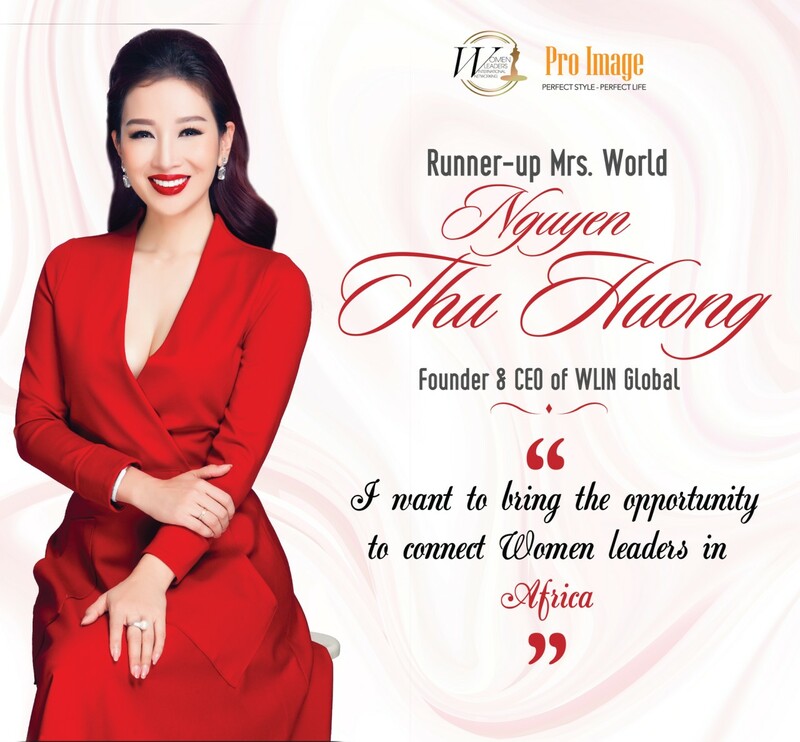 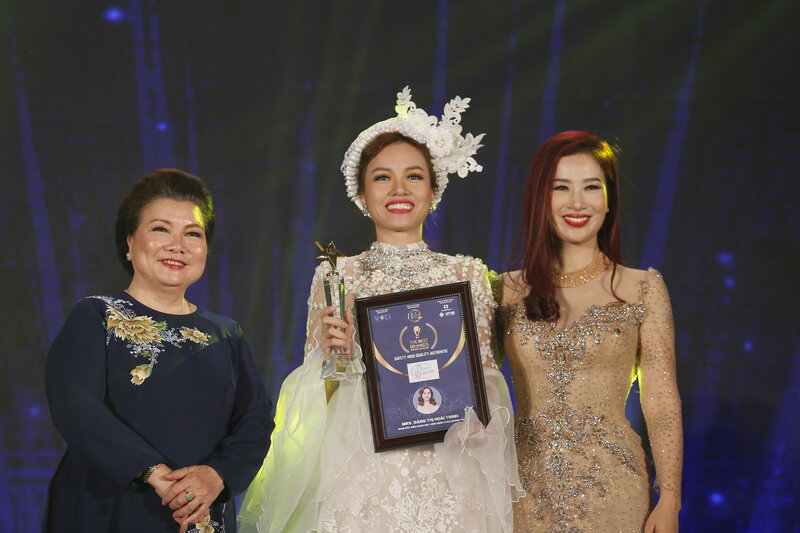 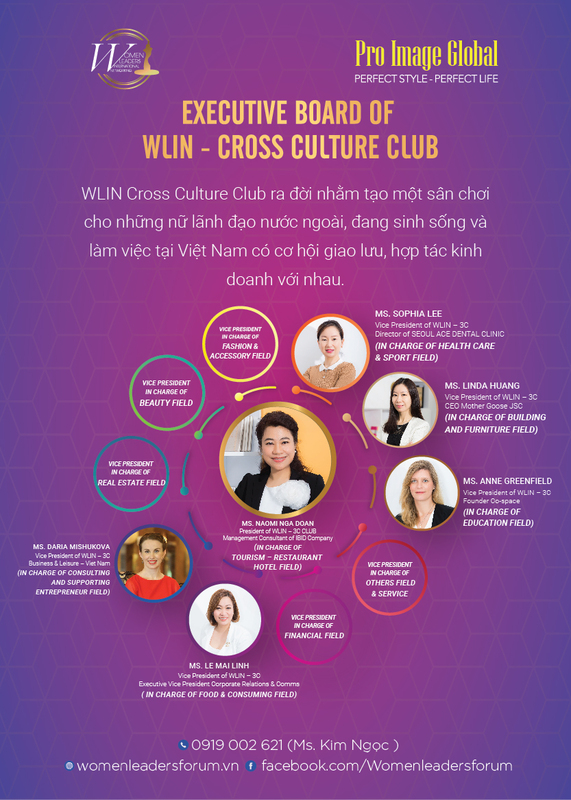 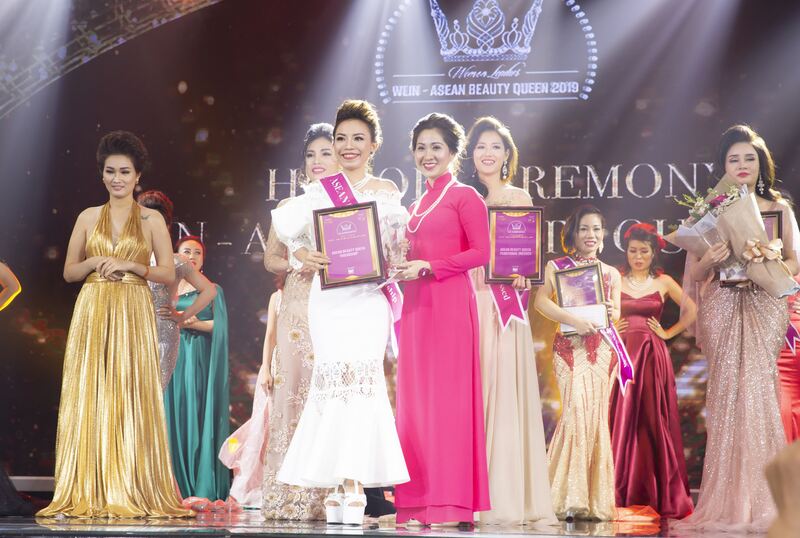 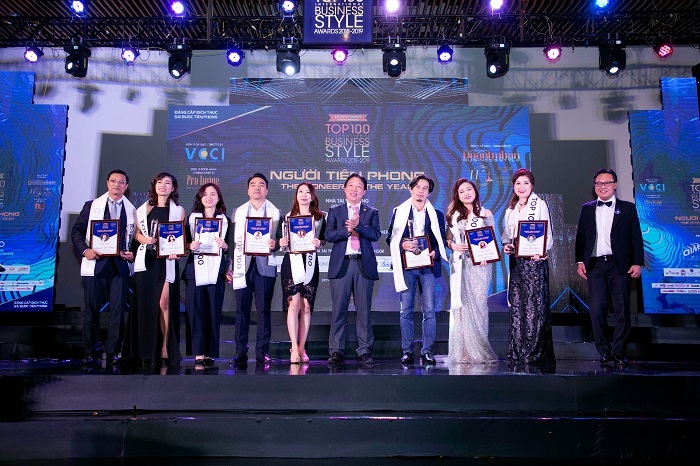 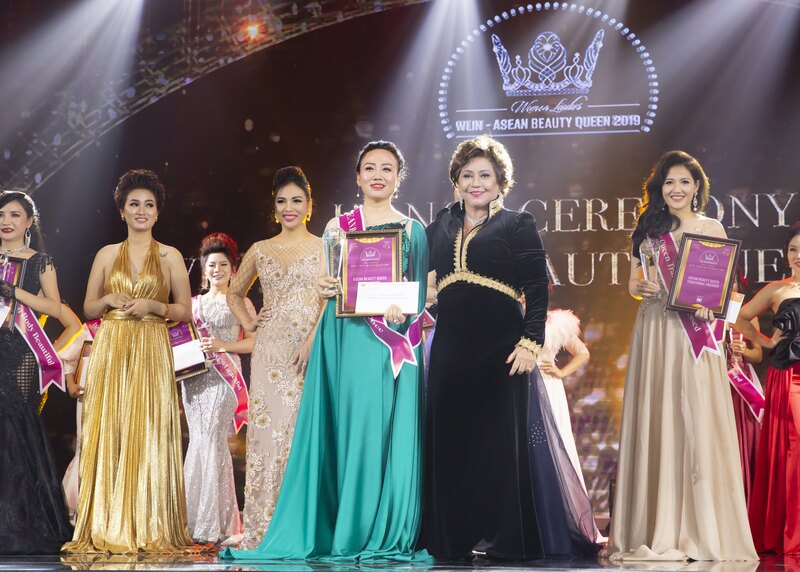 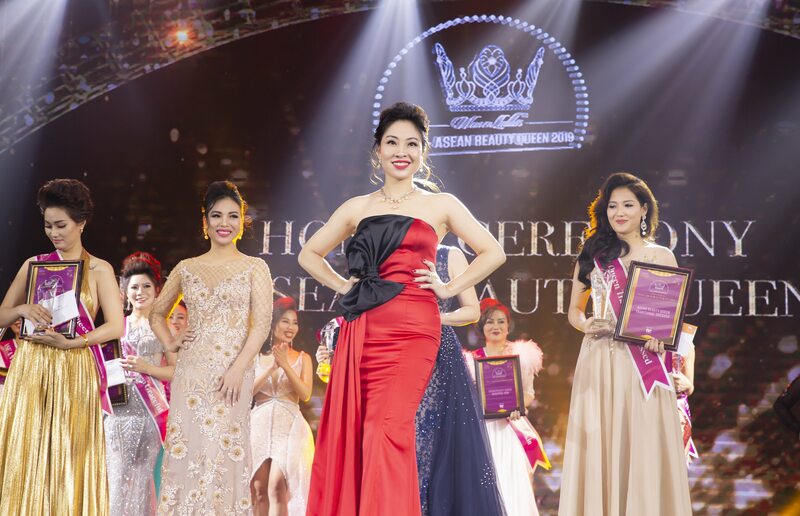 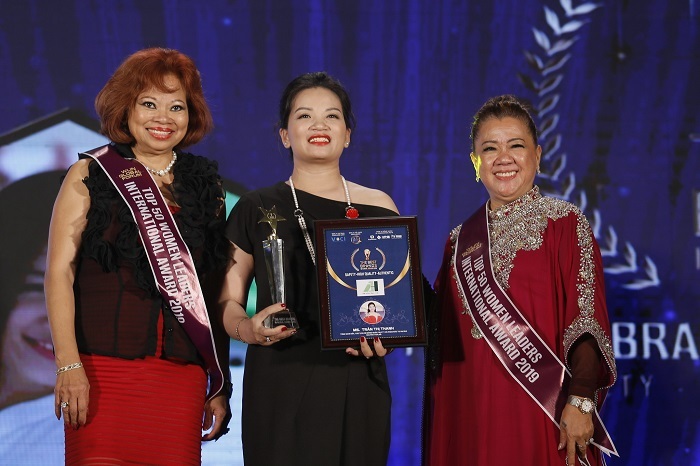 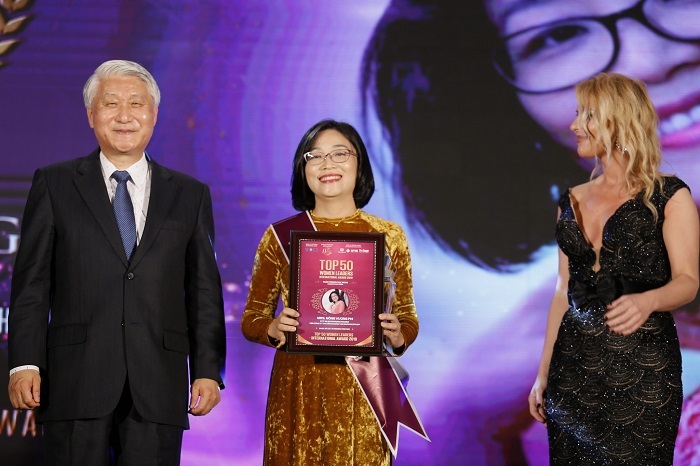 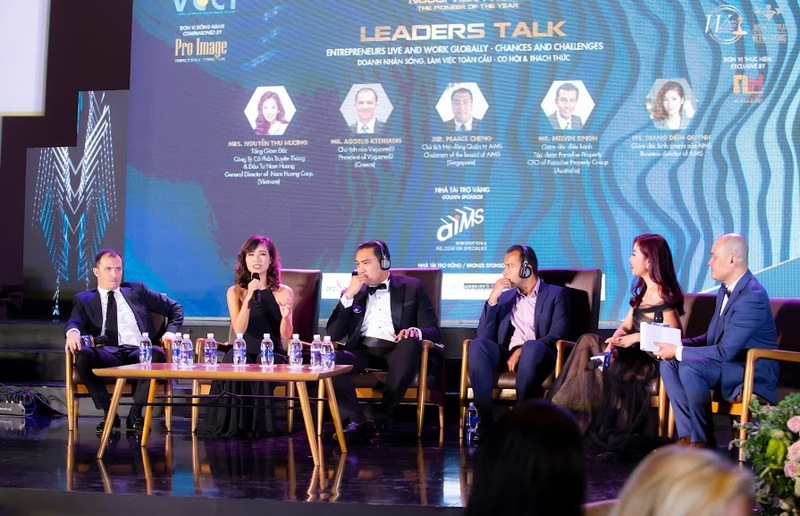 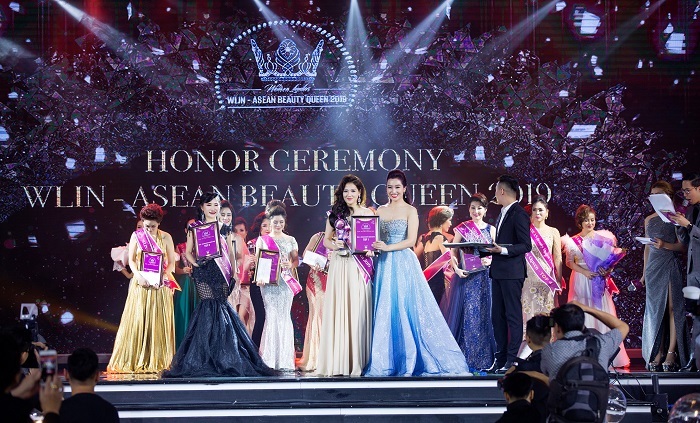 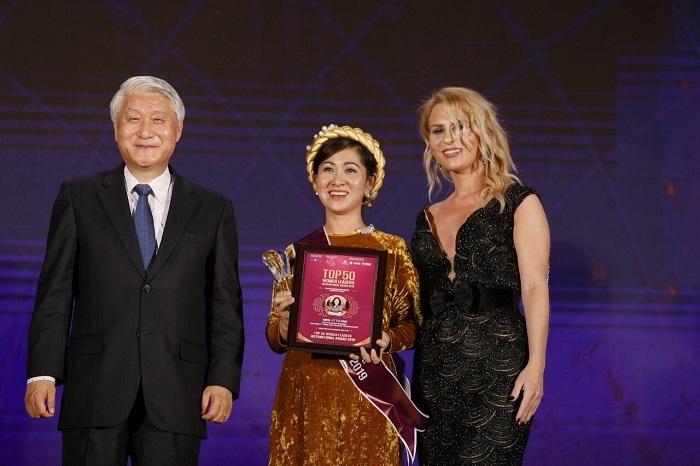 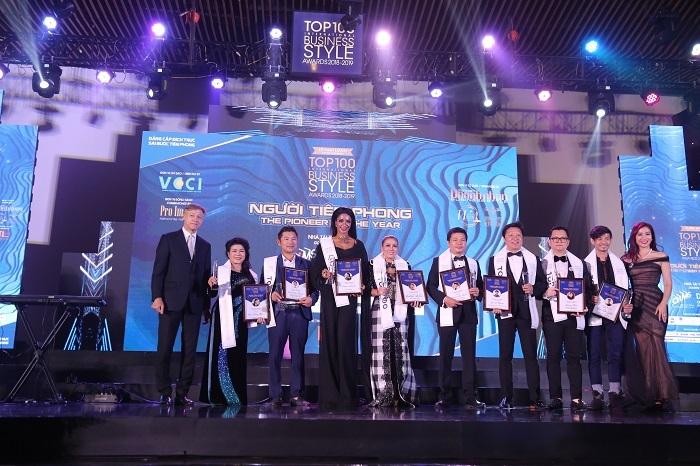 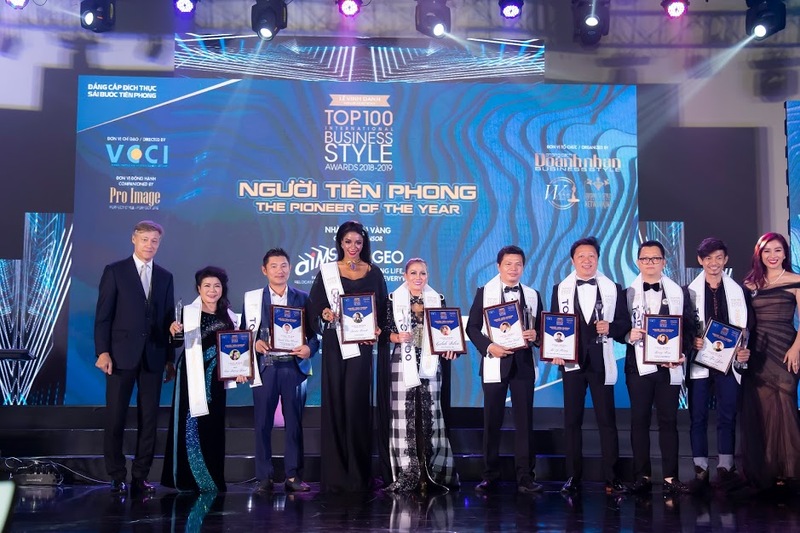 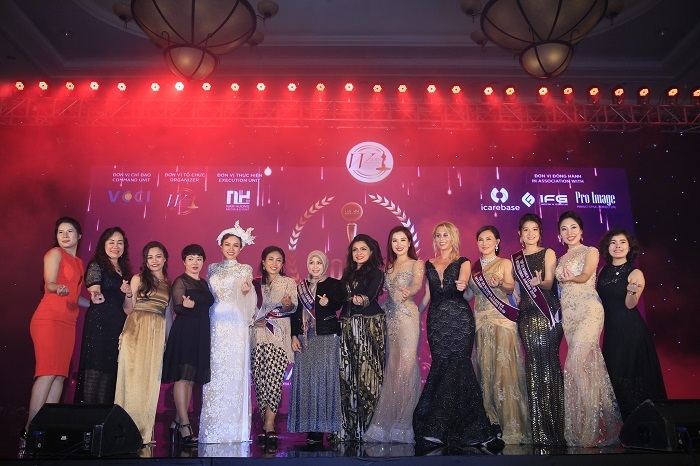 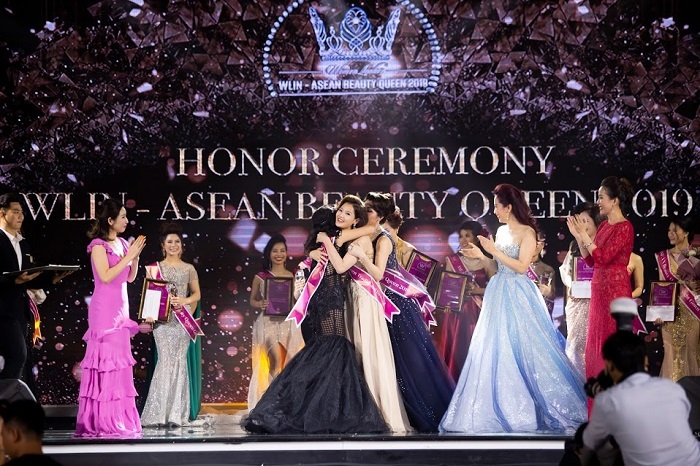 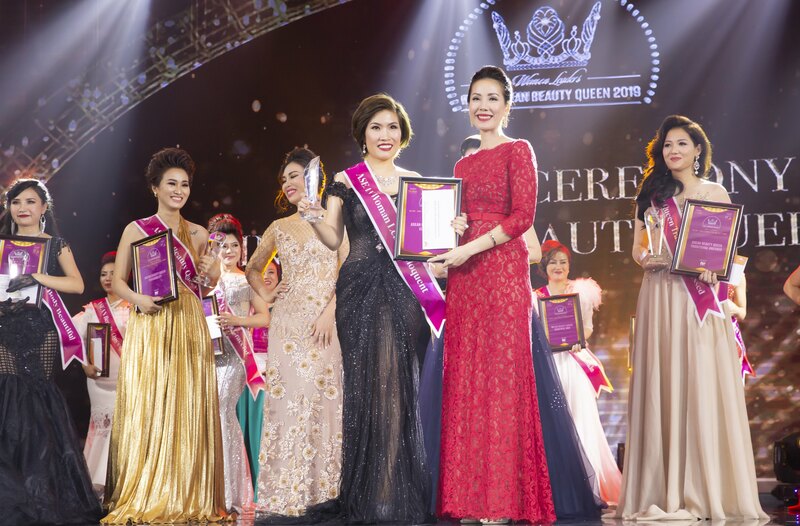 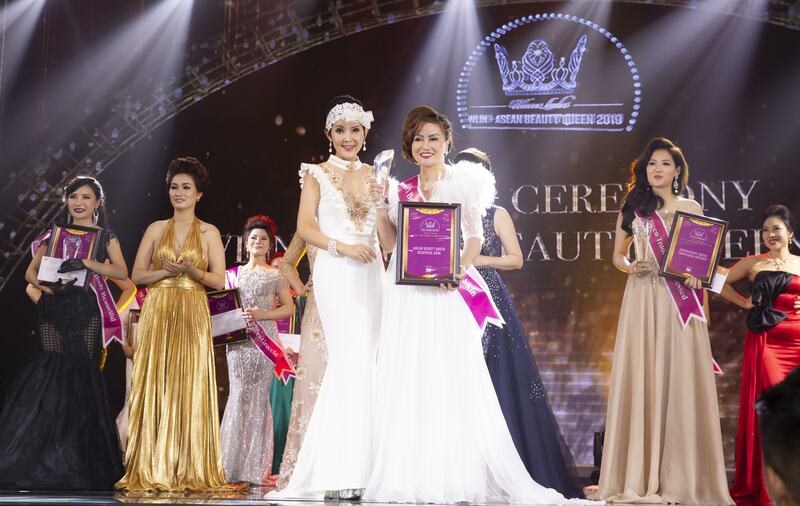 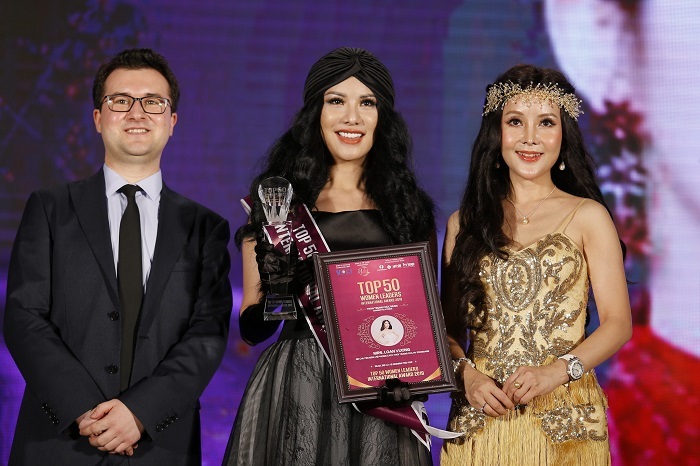 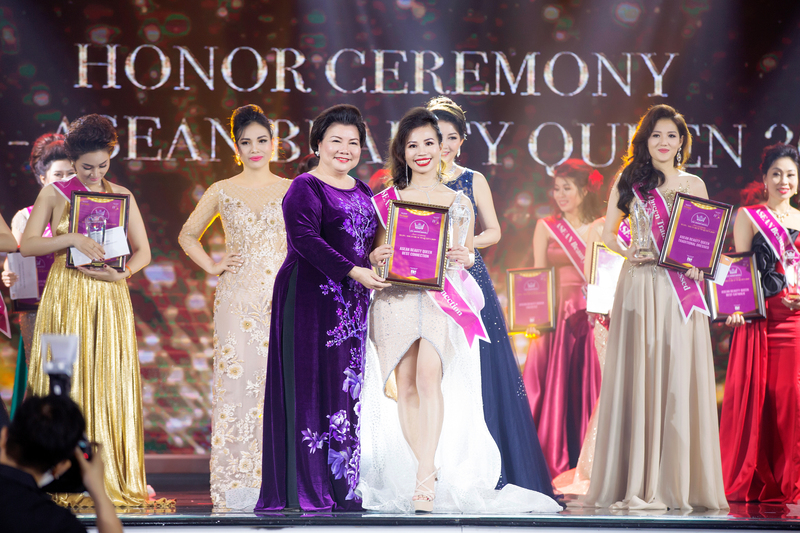 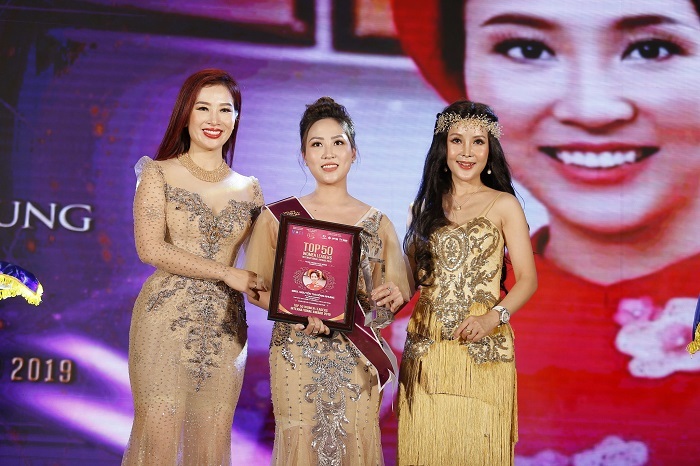 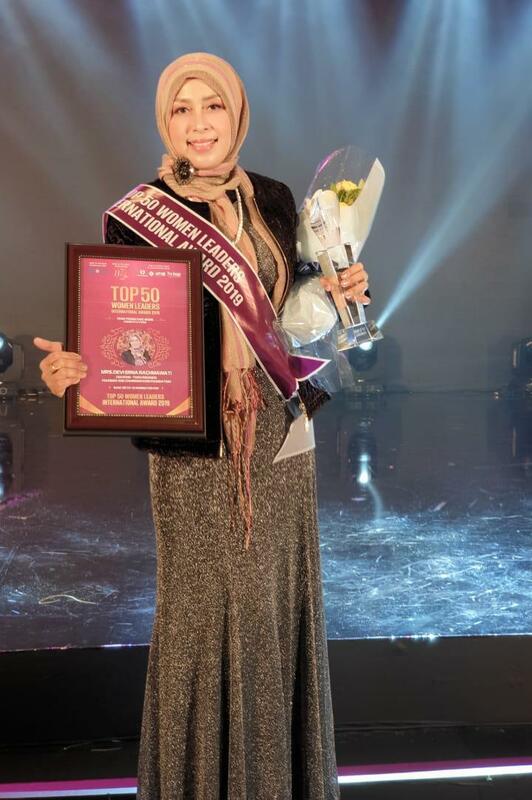 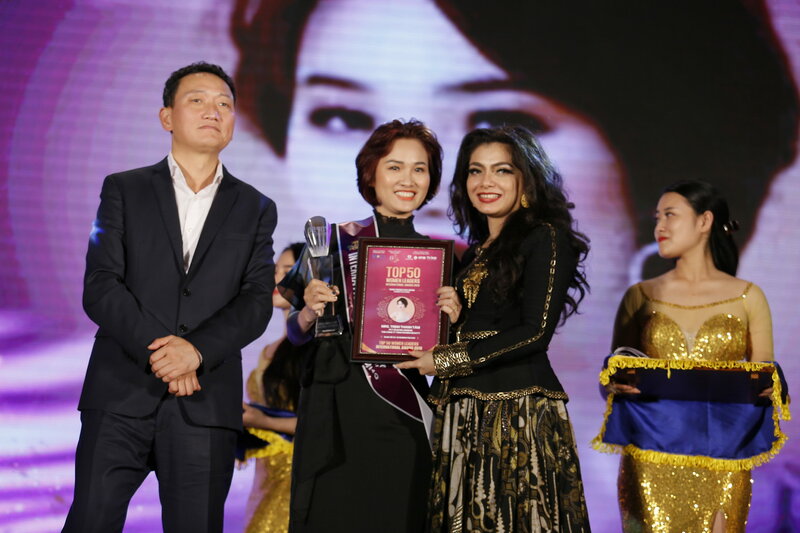 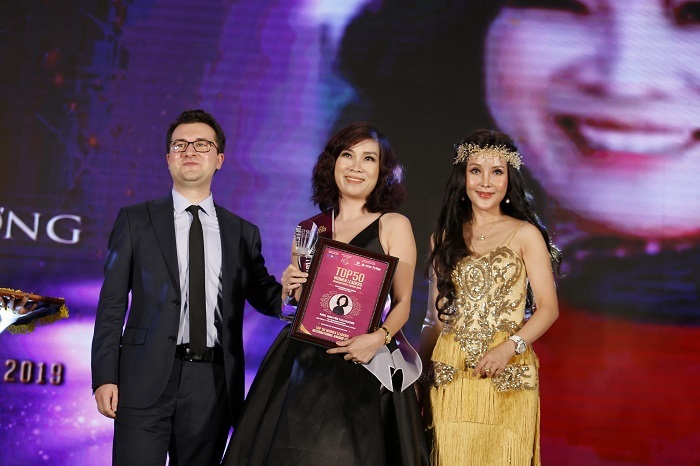 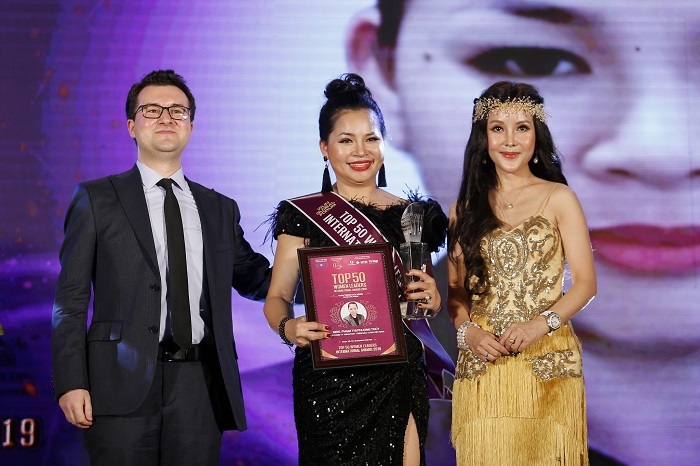 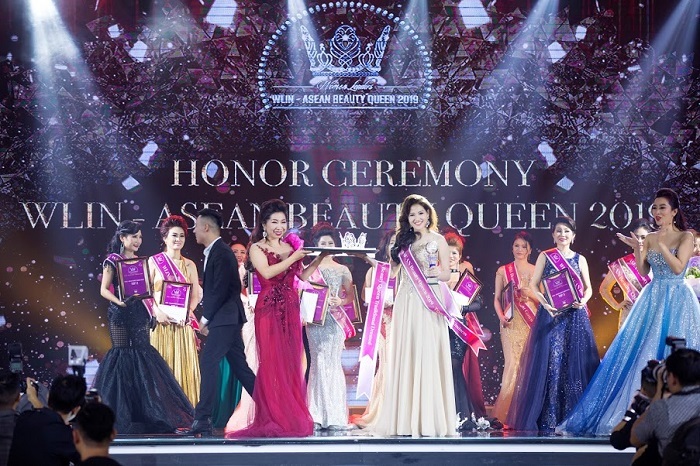 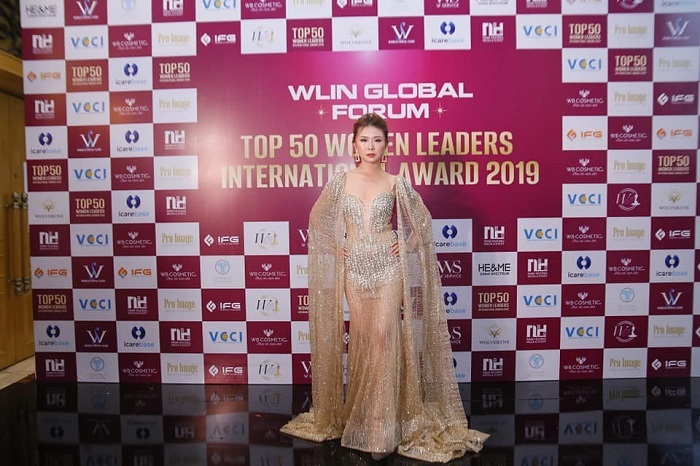 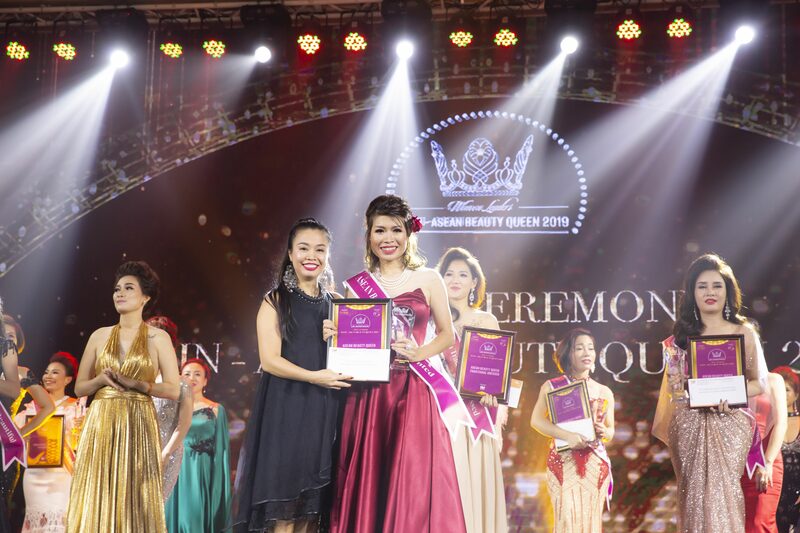 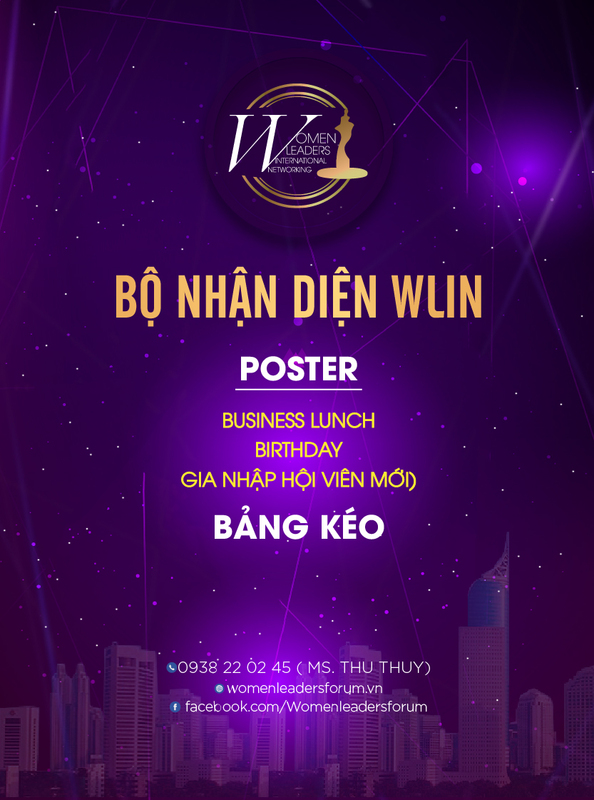 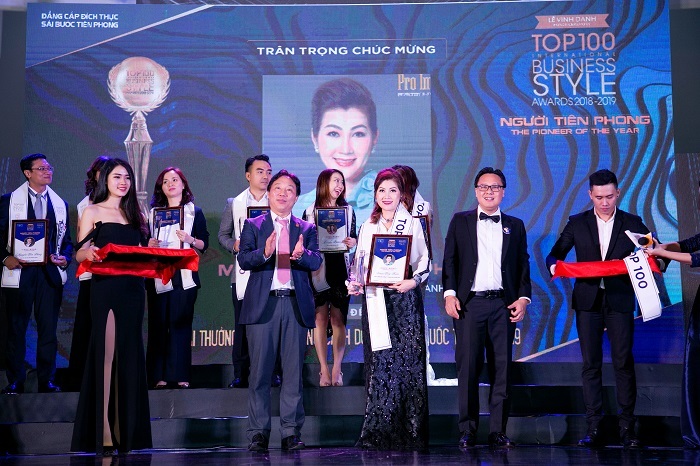 With outstanding performance and positive contribution to the development and advancement of women over the years, businesswoman Shirley Eng – Director of Wolverine Global Marketing SND BHD was honored in the Top 10 leaders to receive the Asean’s Top Leader Award 2018 within the framework of the WLIN & BSIN Business Festival held on 28 & 29 August in Laguna Lang Co. 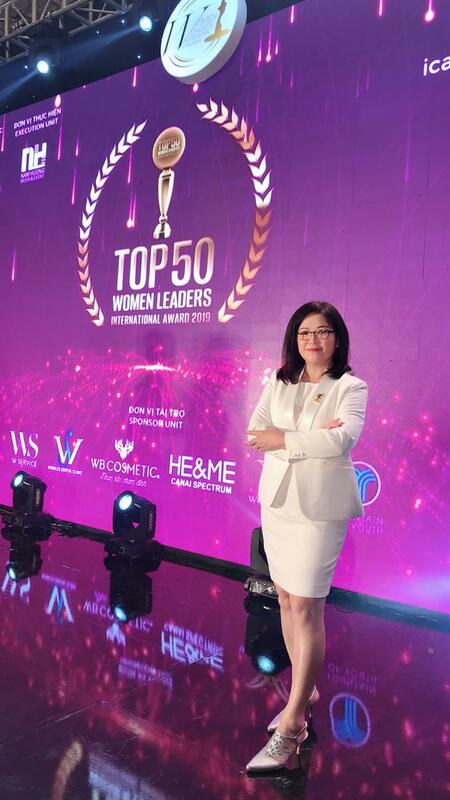 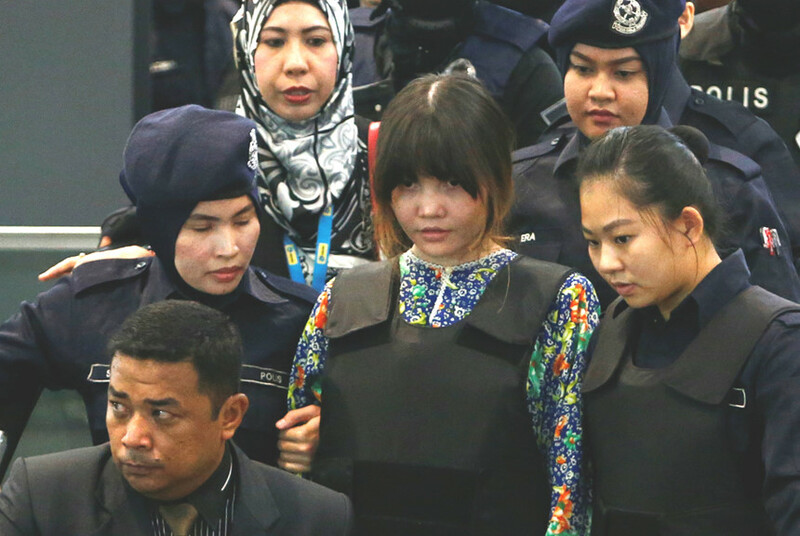 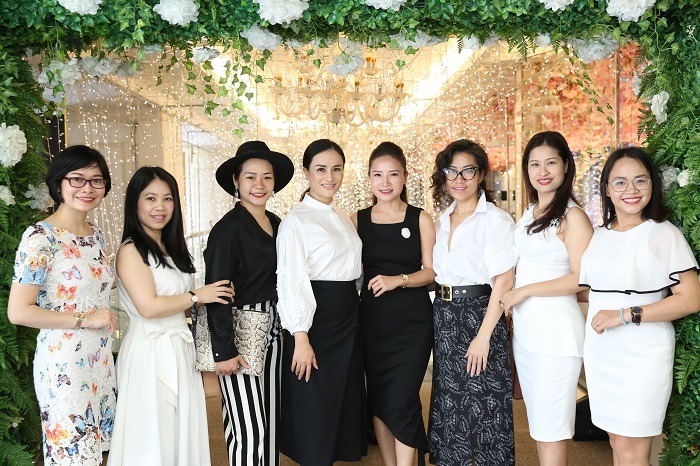 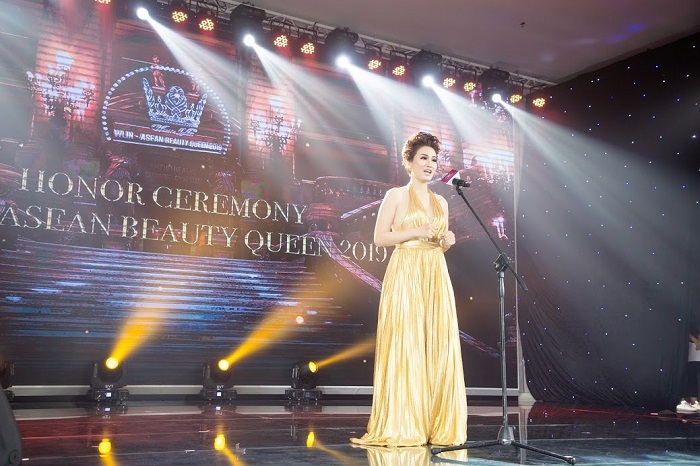 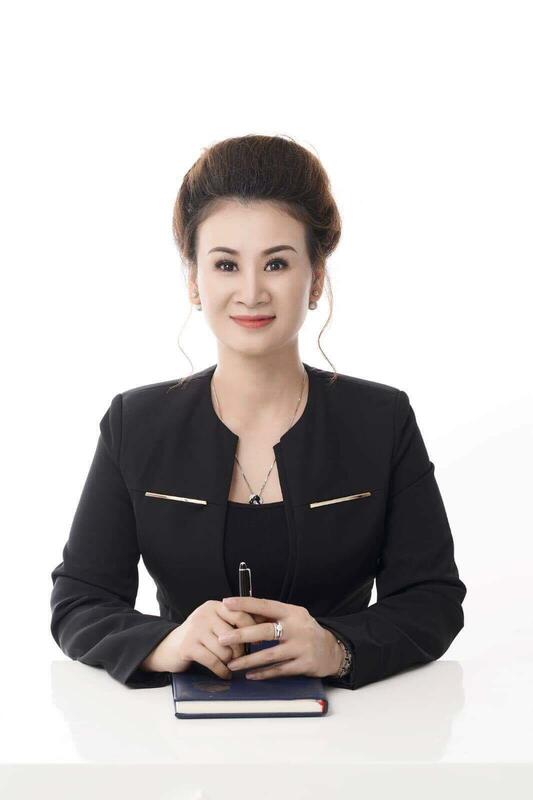 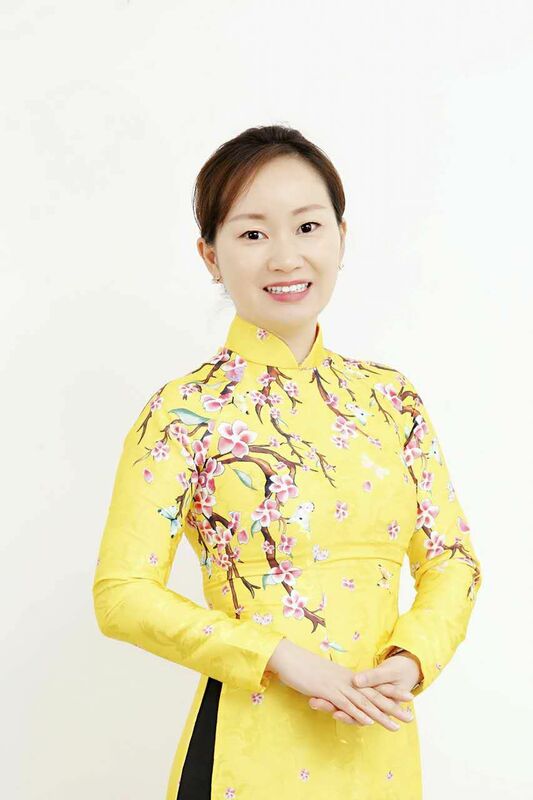 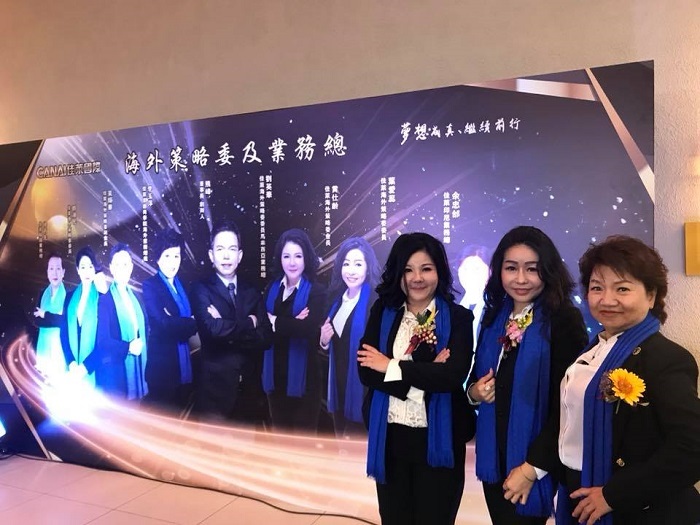 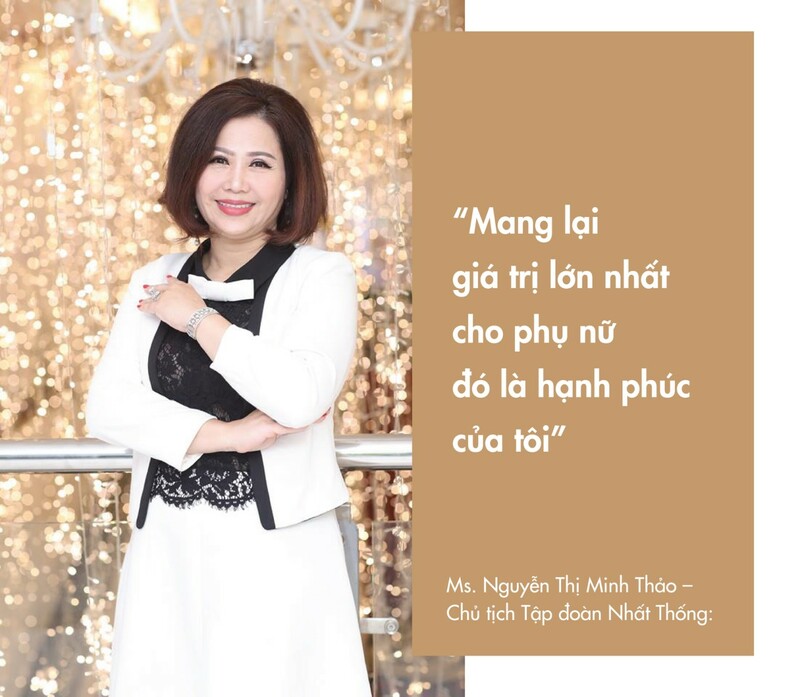 The founder of Wolverine Team – Ms. Shirley Eng who has been in her beauty business for the past 27 years and working very closely with Canai International for the past 10 years, she was the one who helped Canai International to establish the Malaysia market. 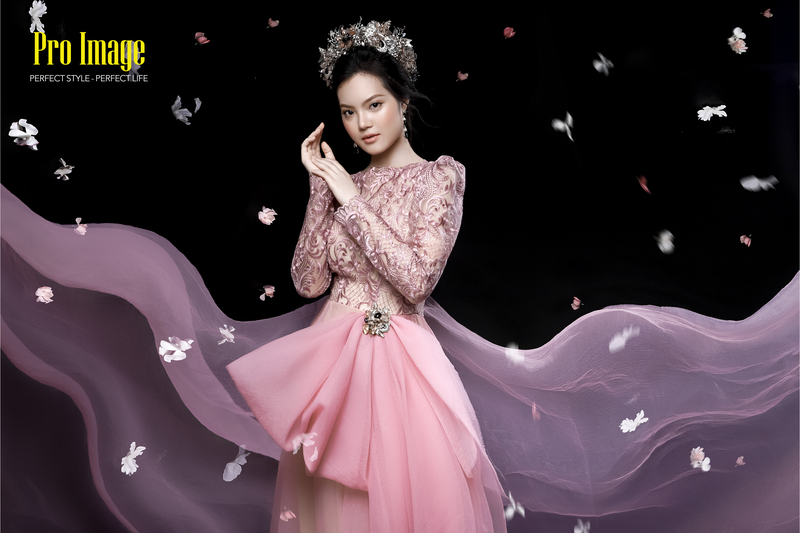 Its headquarter is situated at Kuala Lumpur with 2 operation centers in Penang and Johor as well as 14 image houses throughout Malaysia. 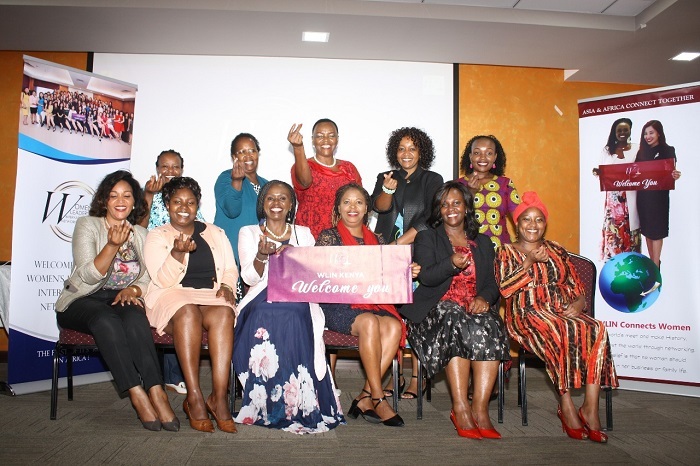 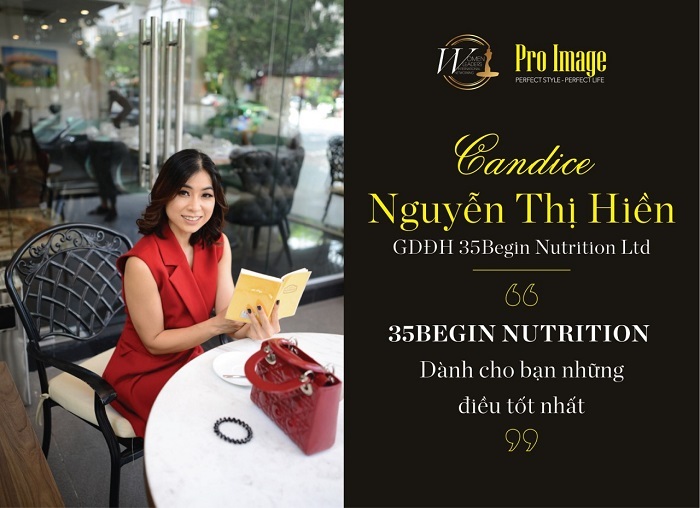 Canai International is a company in producing and distributing skin care and hair products for women. 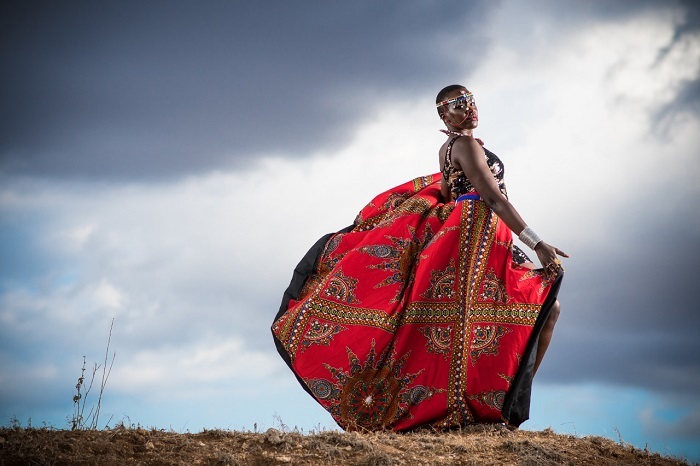 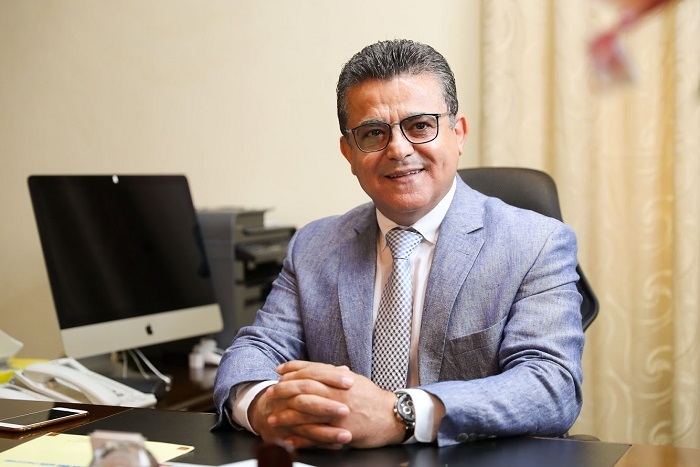 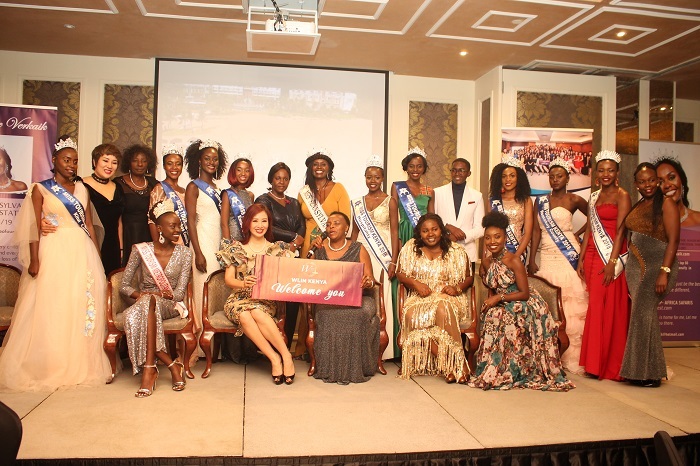 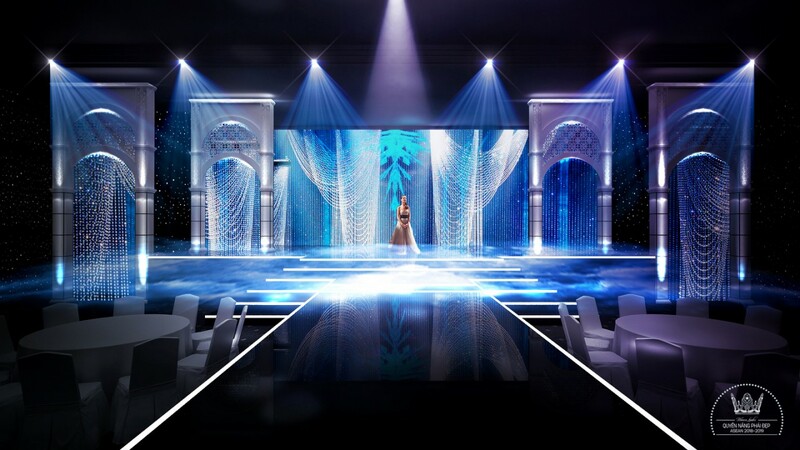 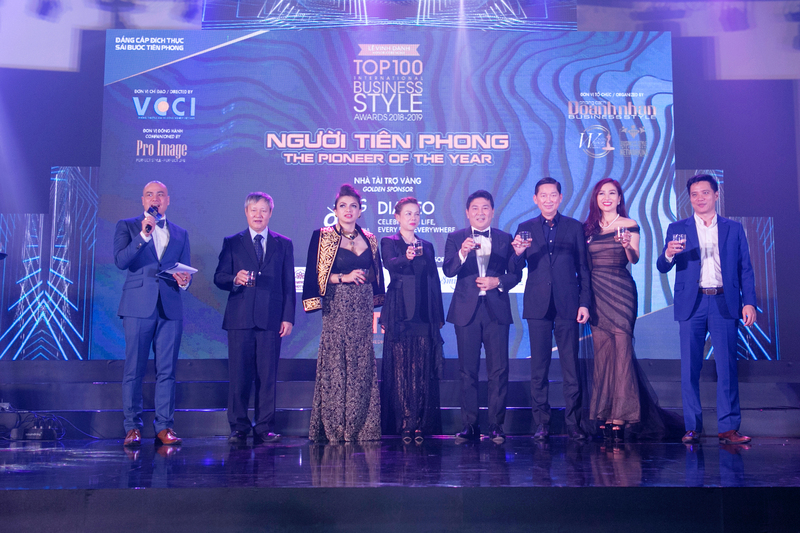 As a long – standing and prestigious company, Canai International has been increasingly asserting its position and role when it invaded in the field of fashion and won much love of customers and partners. 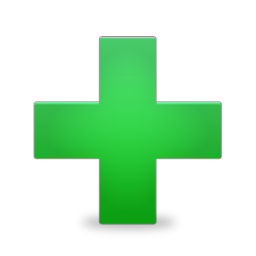 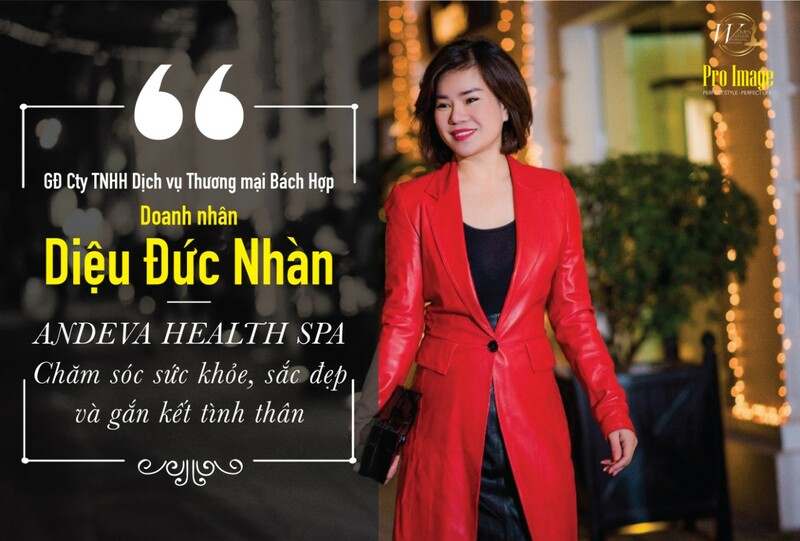 It offers a number of outstanding advantages, giving customers a confident look, especially to ensure and improve customer’s health. 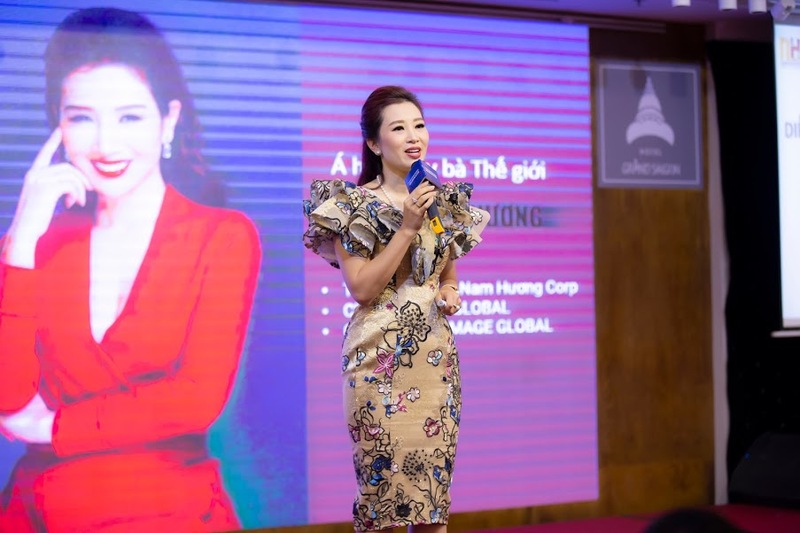 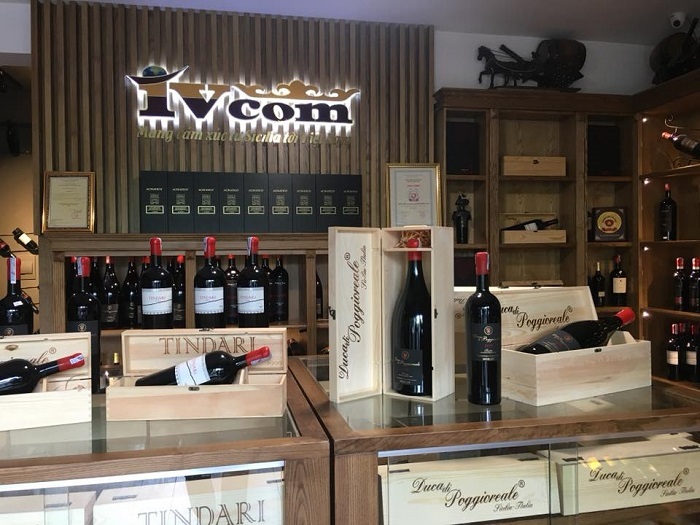 Canai’s current partners are being expanded in many places, not only in Hong Kong but also in Asia such as Singapore, Malaysia, China, Taiwan, Macau, Indonesia, Thailand and South Korea and will be coming soon to the Vietnam market. 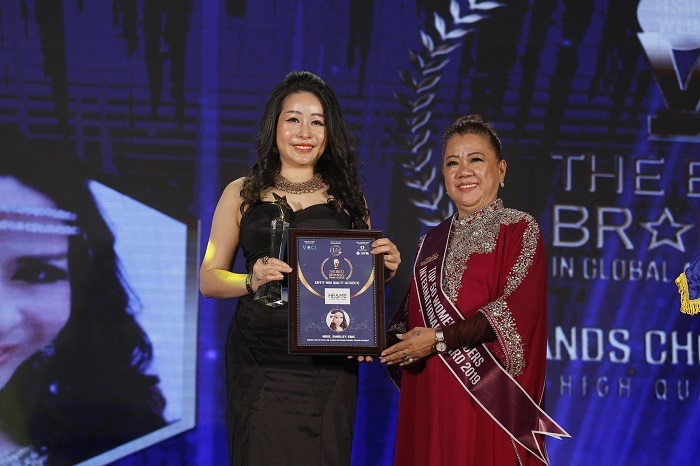 It can not be denied that the widespread strategic vision and the dedication of the talented businesswoman – Ms. Shirley Eng has contributed to the success of Canai International at the present. 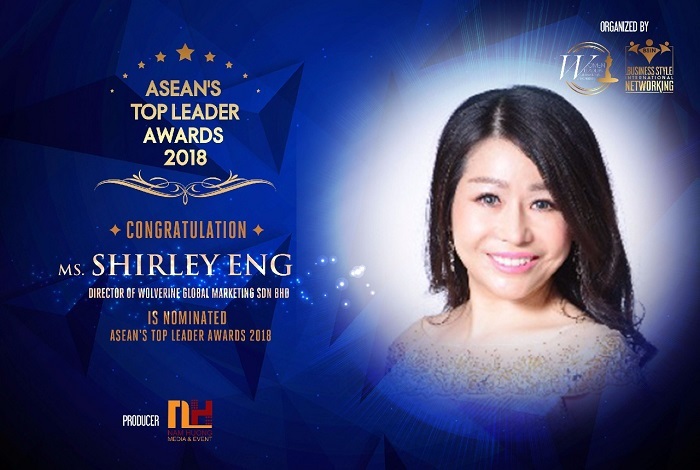 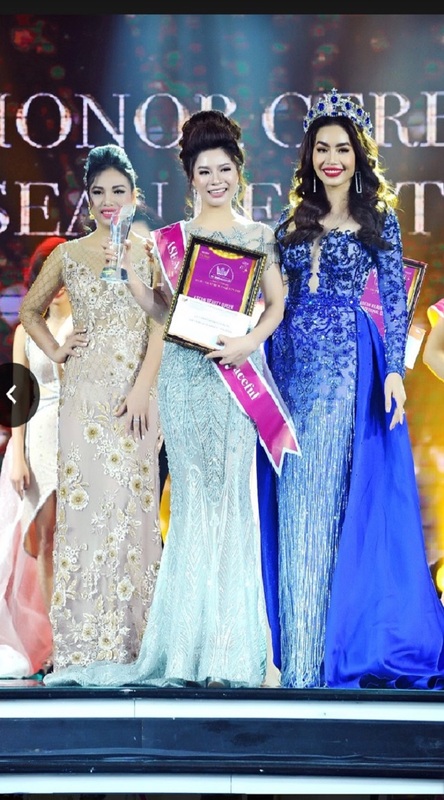 It can be said that Ms. Shirley Eng is completed deserved with the Top 10 of Asean’s Top Leader Awards 2018 by her positive contributions during the past time. 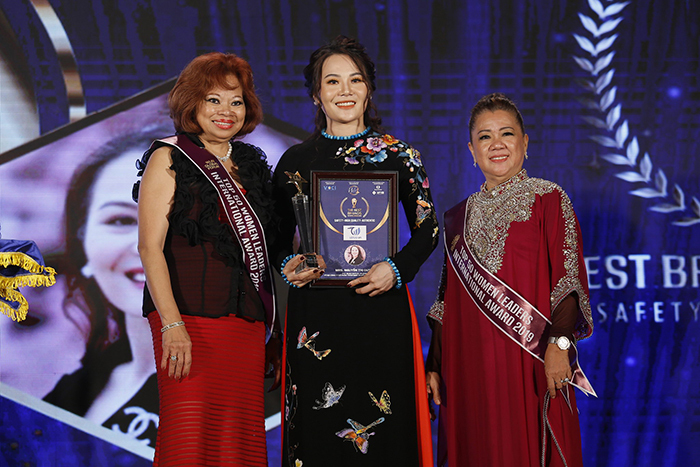 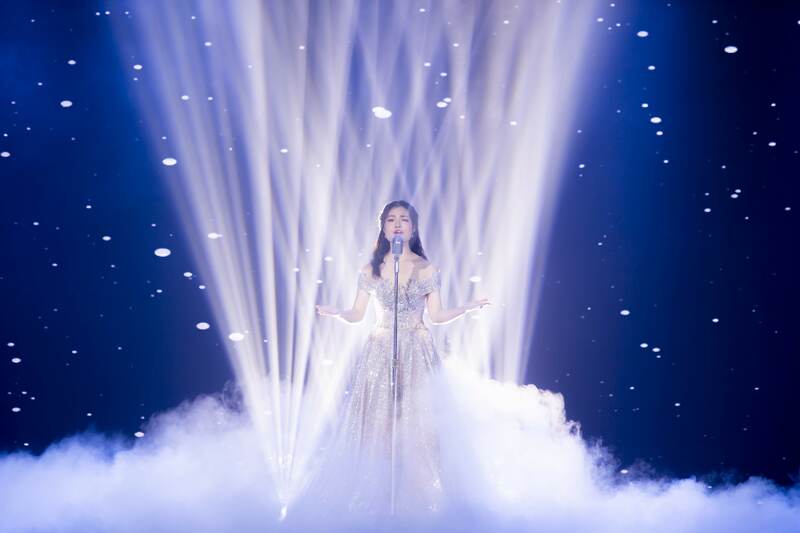 We wish Shirley Eng will be “More beautiful – More successful – Happier” and her upcoming projects will get a great success. 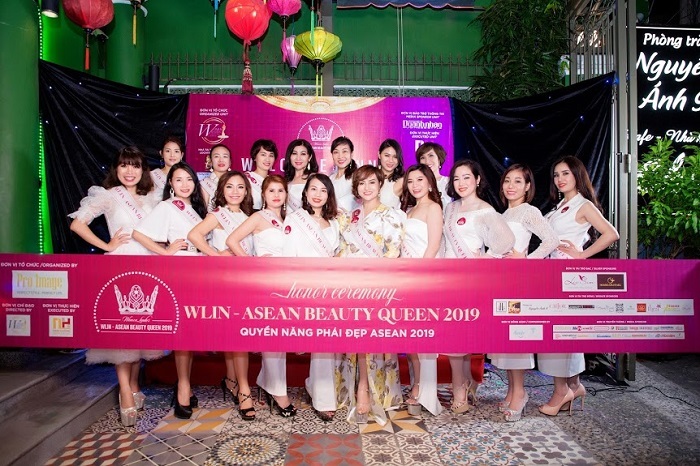 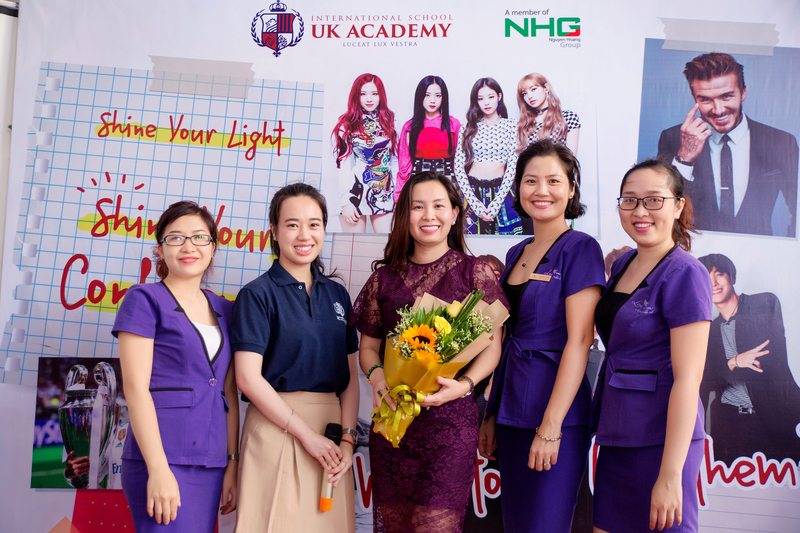 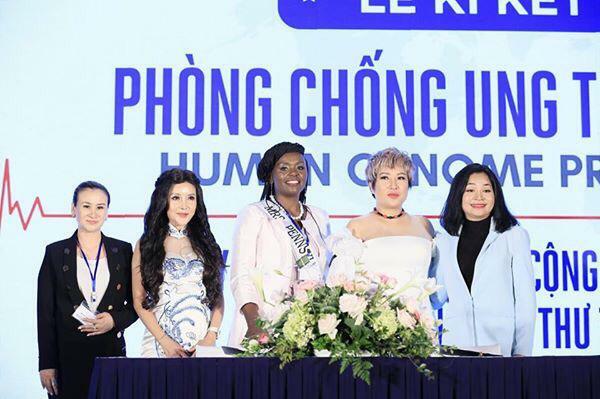 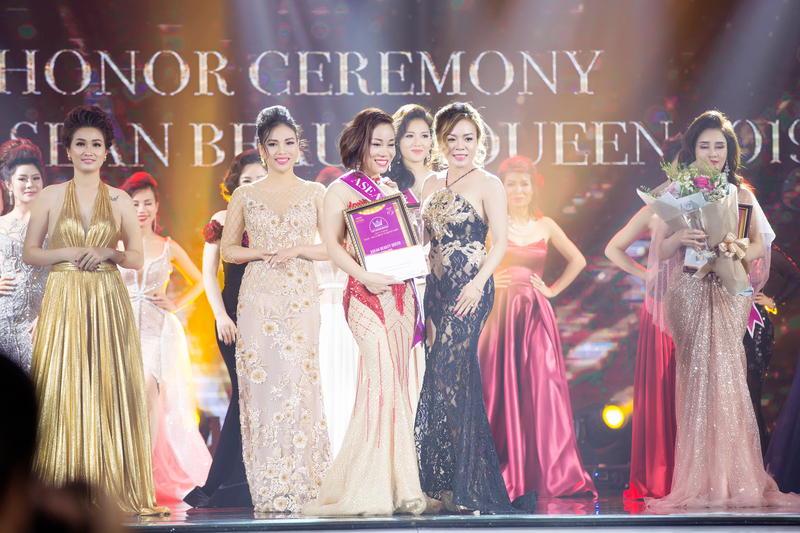 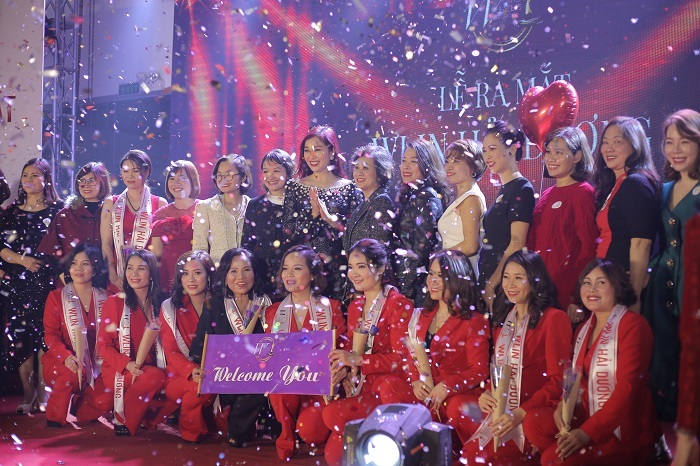 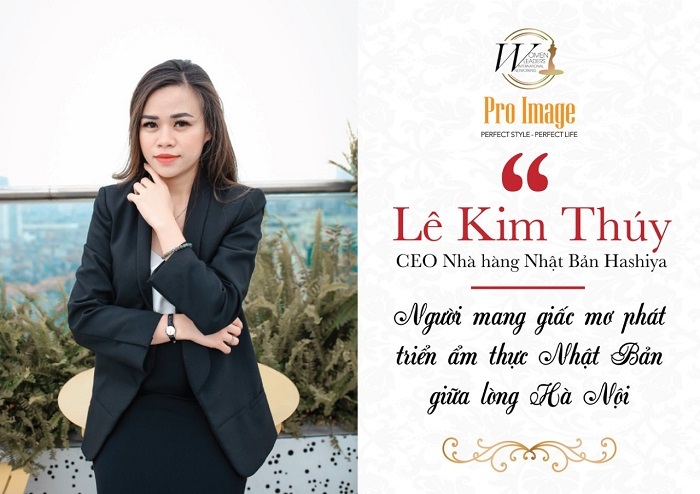 Sponsor by: Laguna Lăng Cô, Cam Tien Swimsuit Company, Celin Vietnam, He & Me Canai, Ms. Nguyen Thi Thuy – General Director of Alysa Vietnam, Ms. 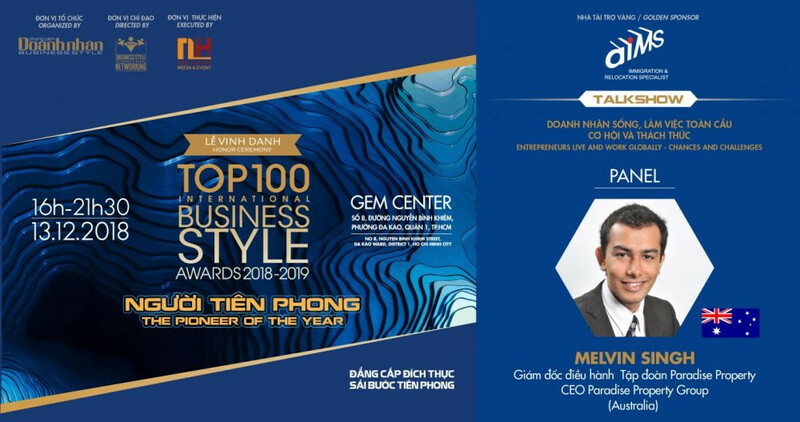 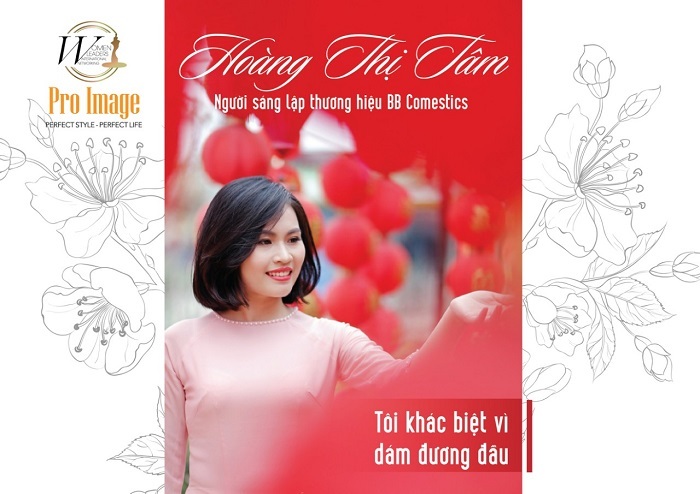 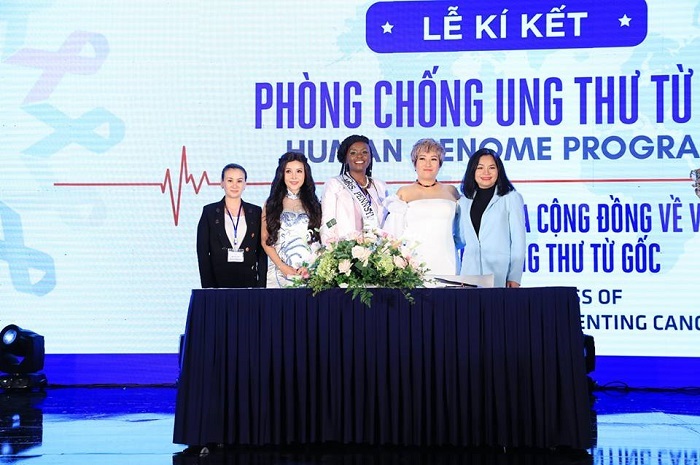 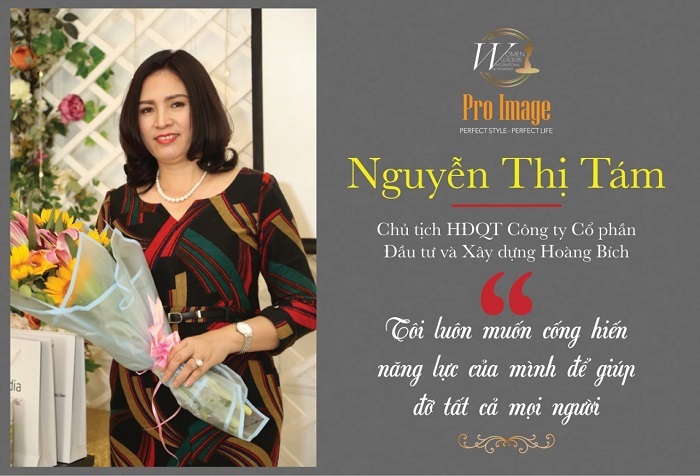 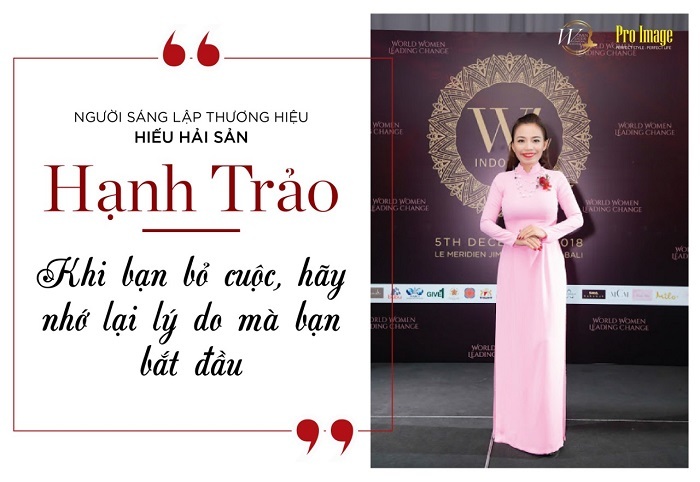 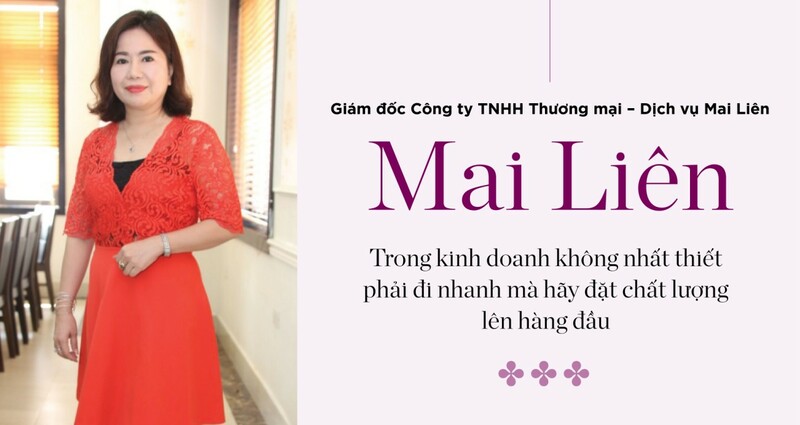 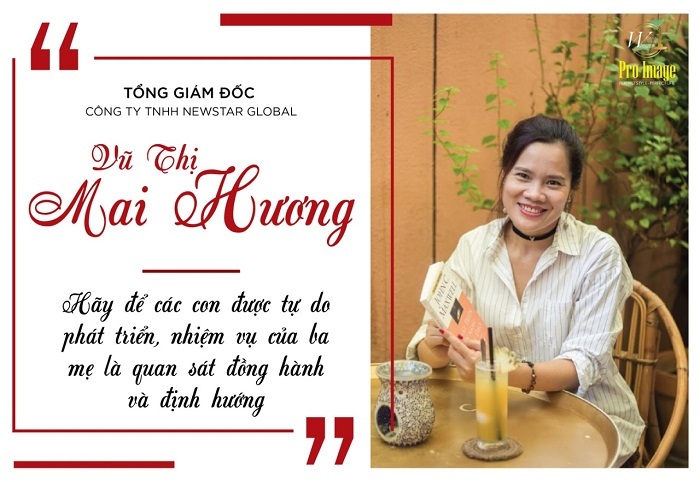 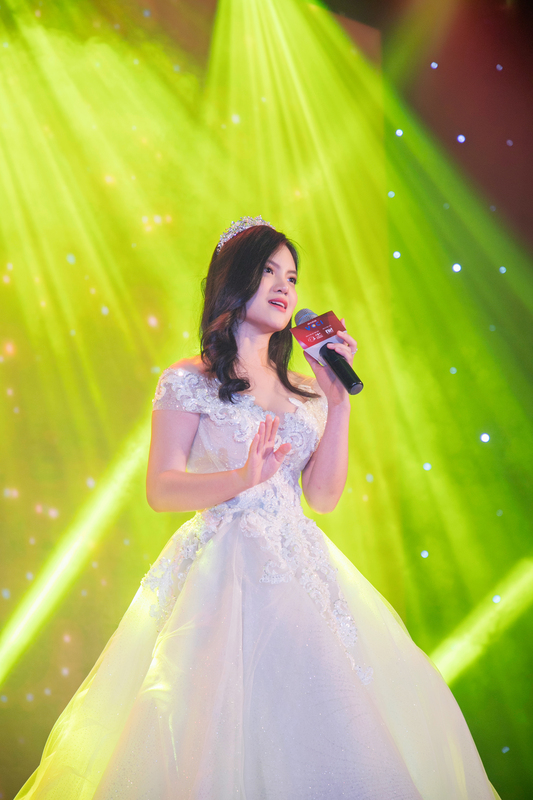 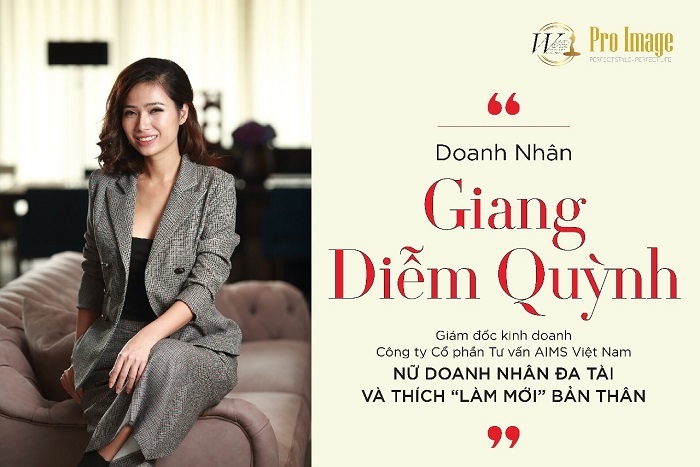 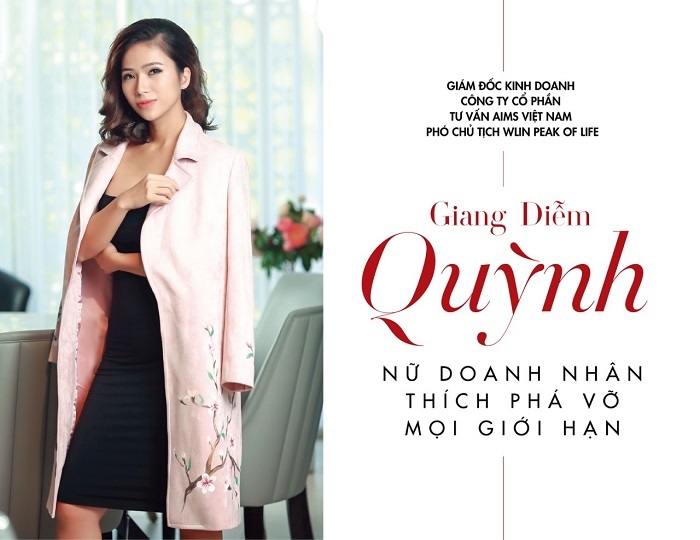 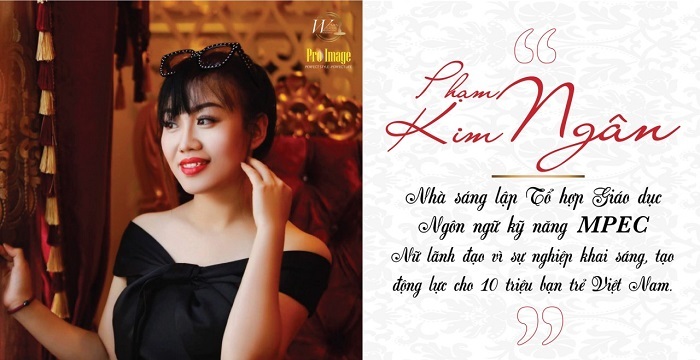 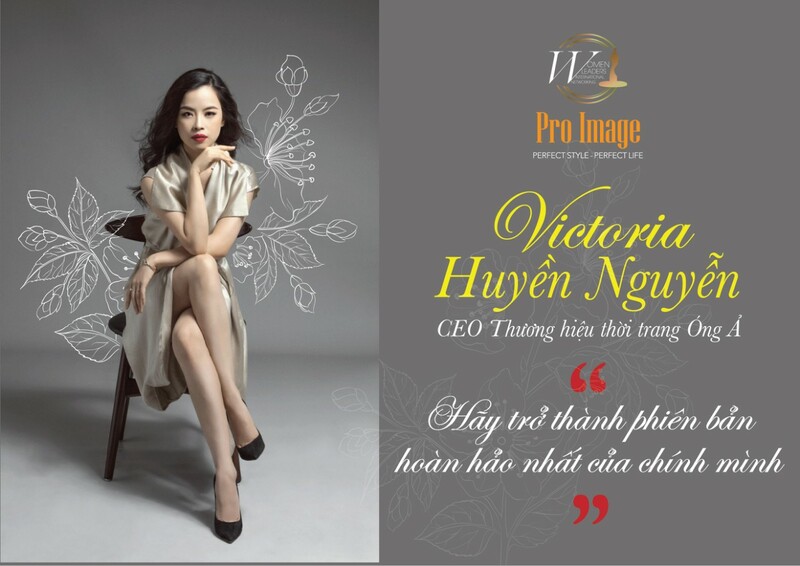 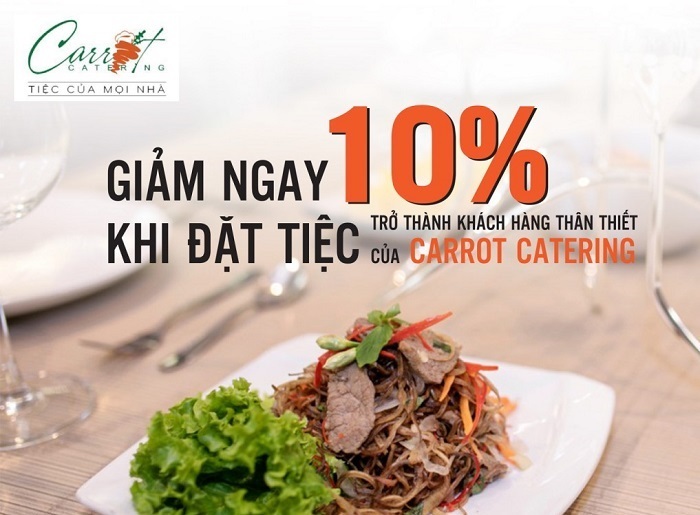 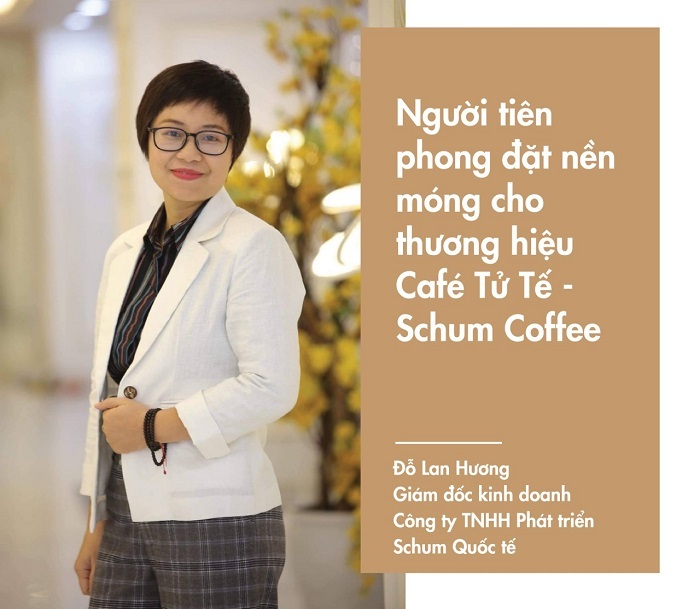 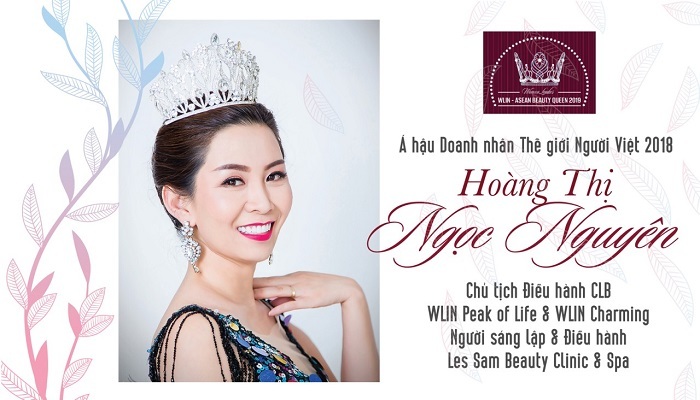 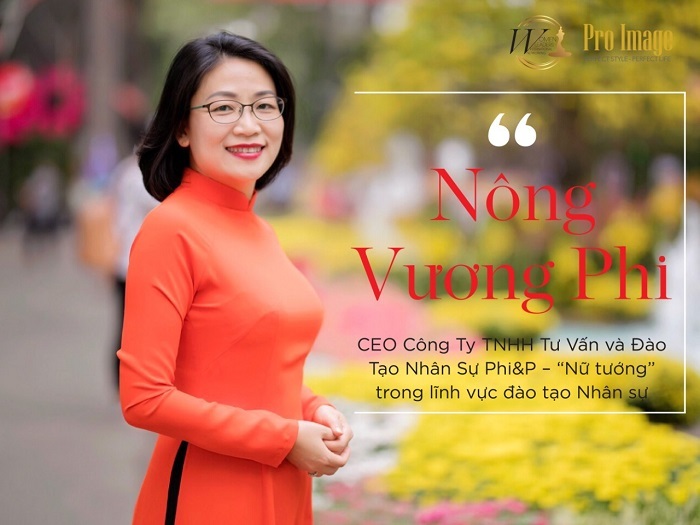 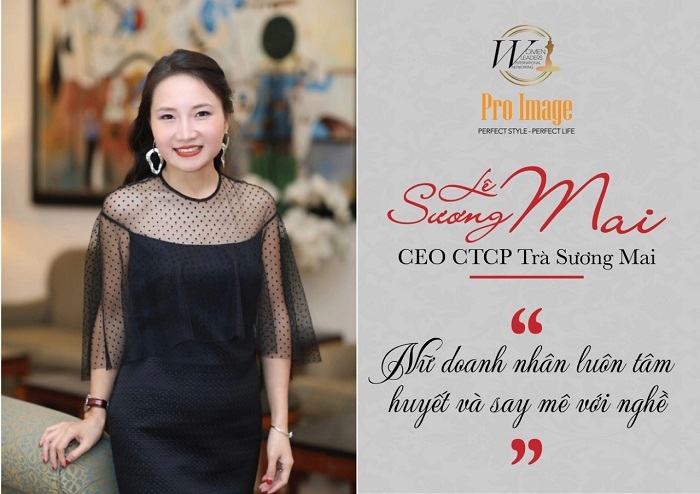 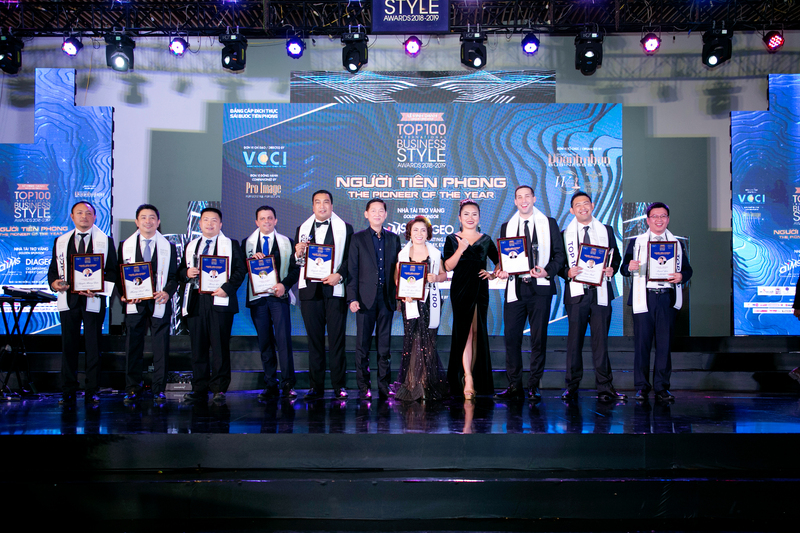 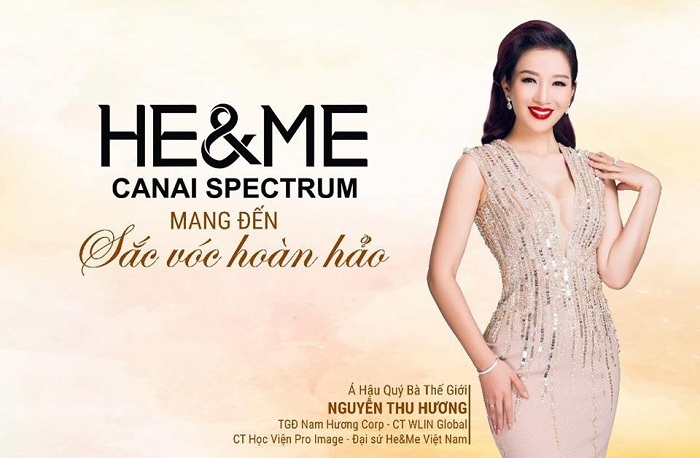 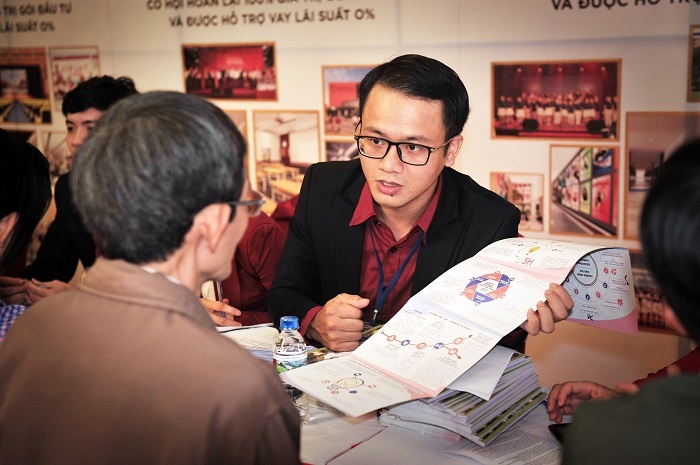 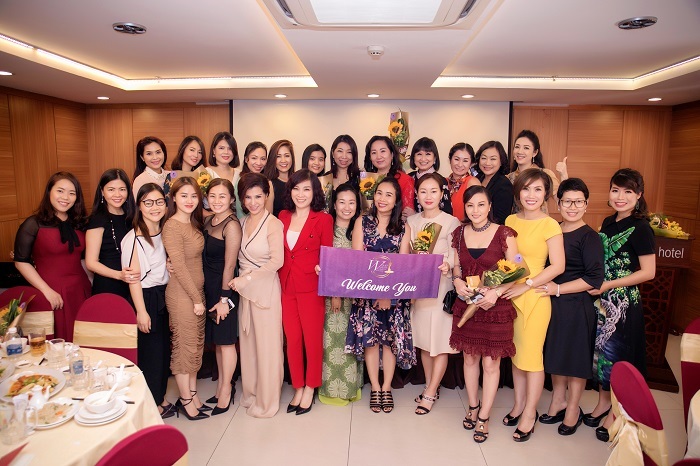 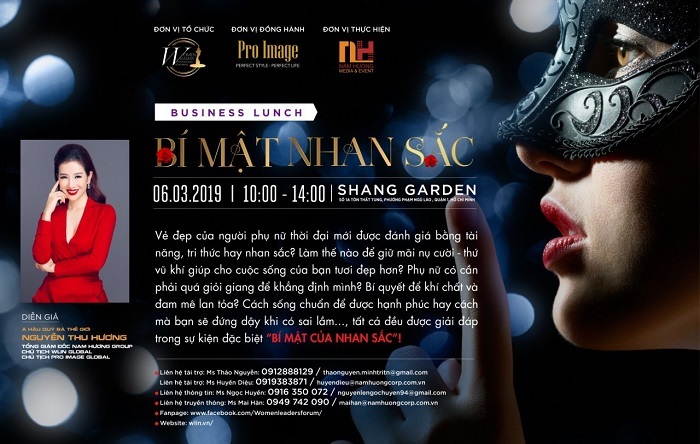 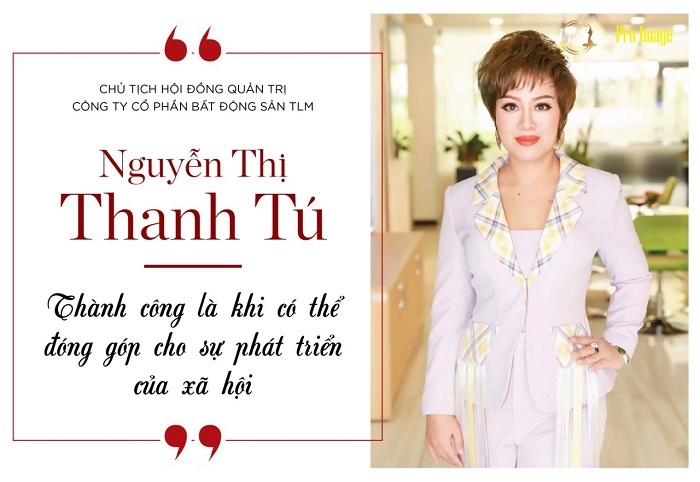 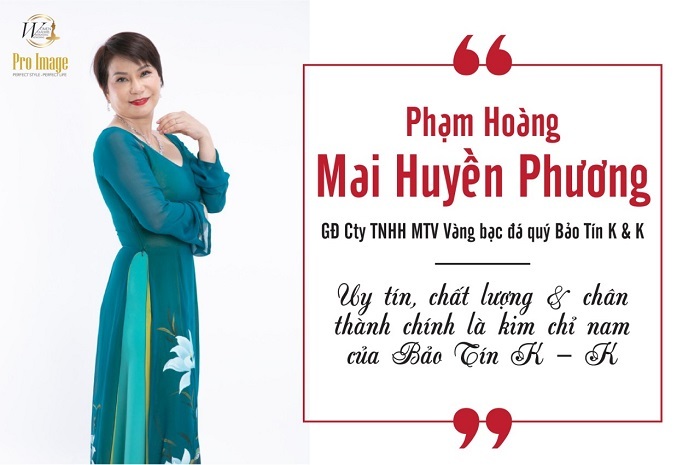 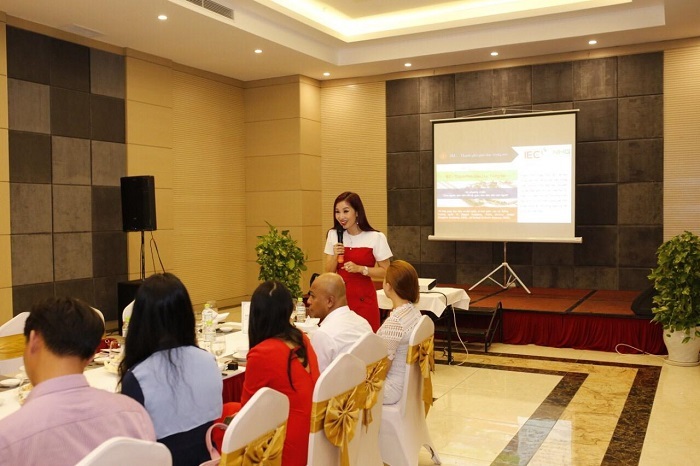 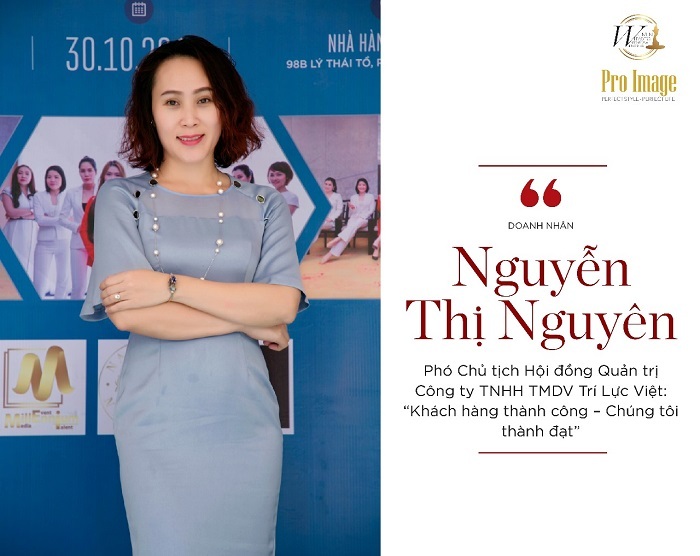 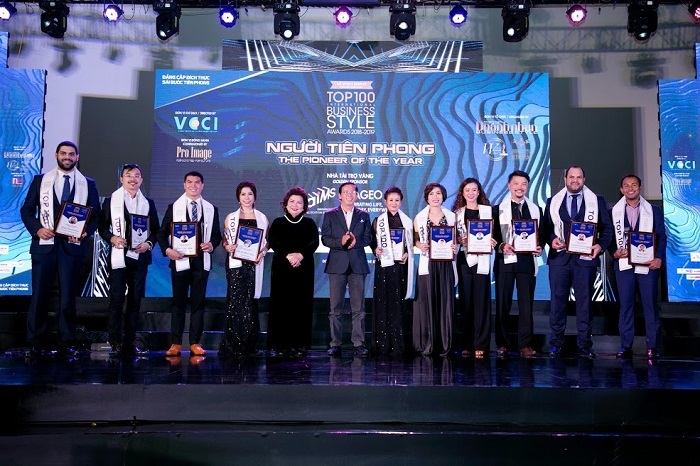 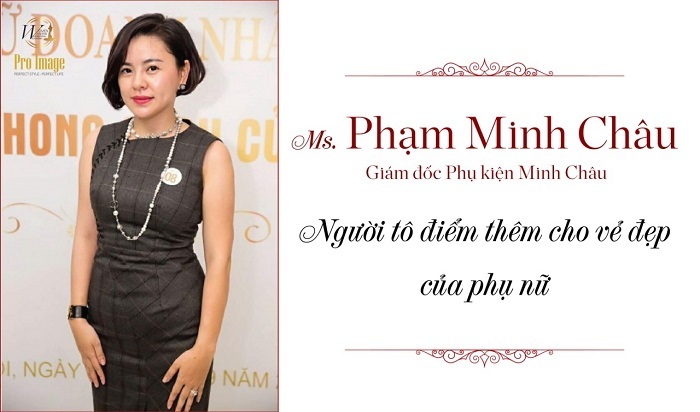 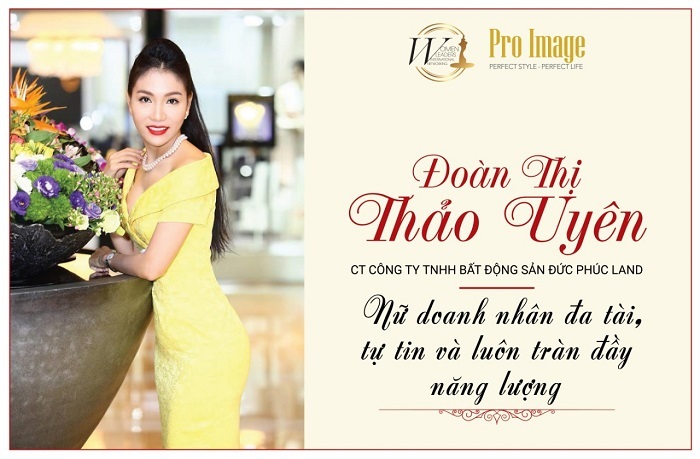 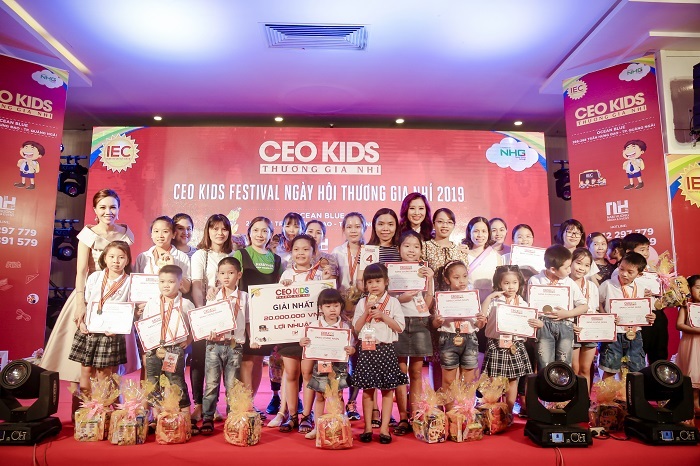 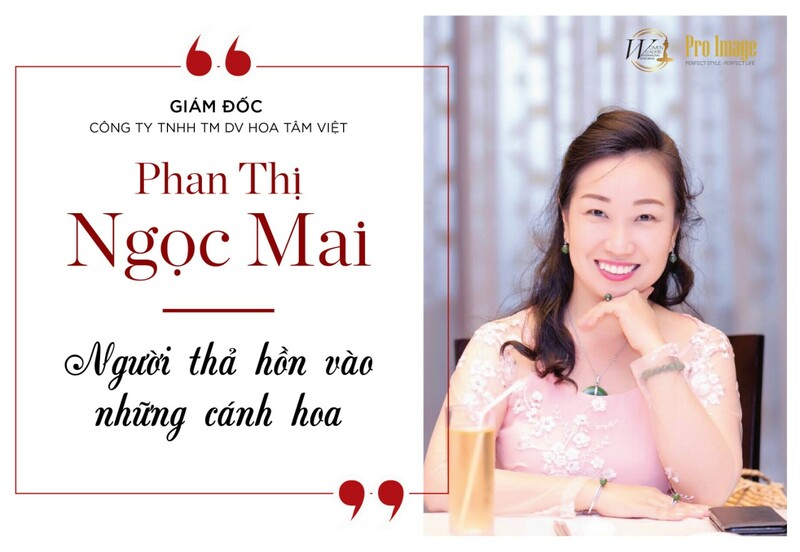 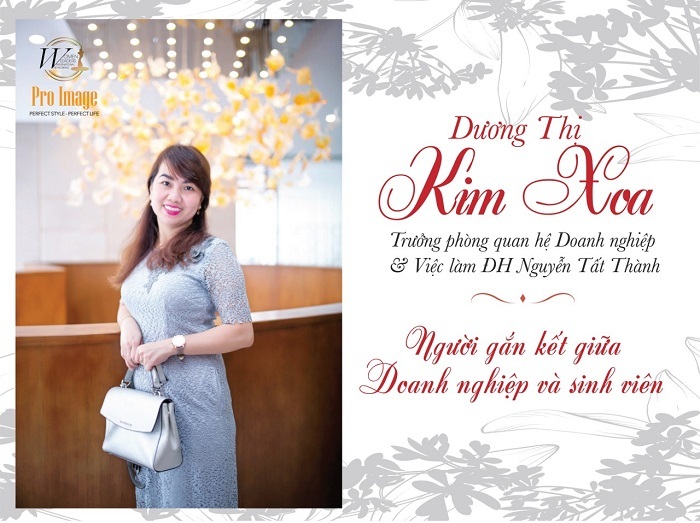 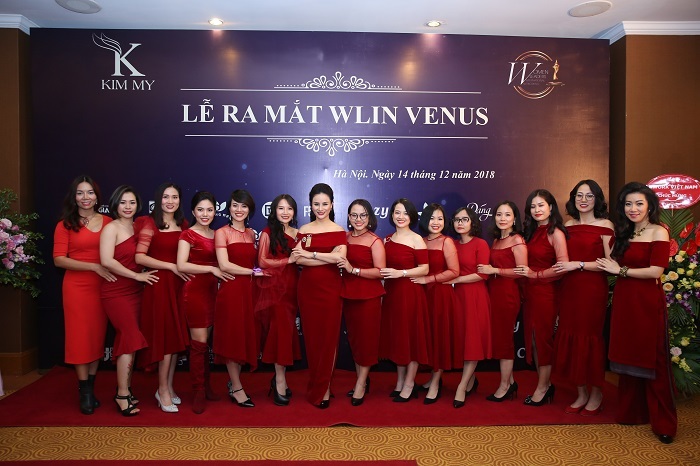 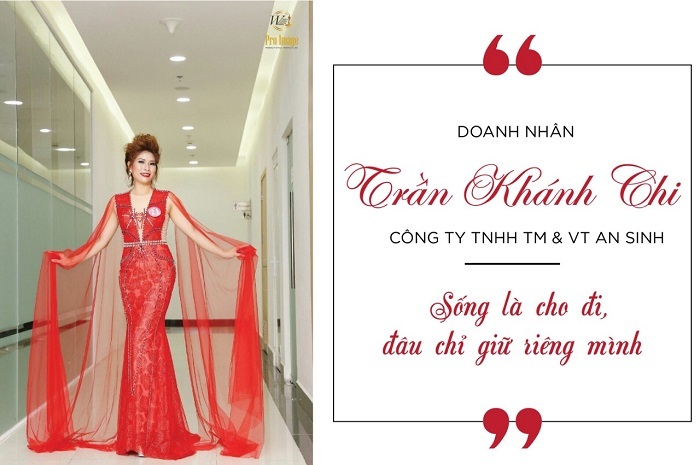 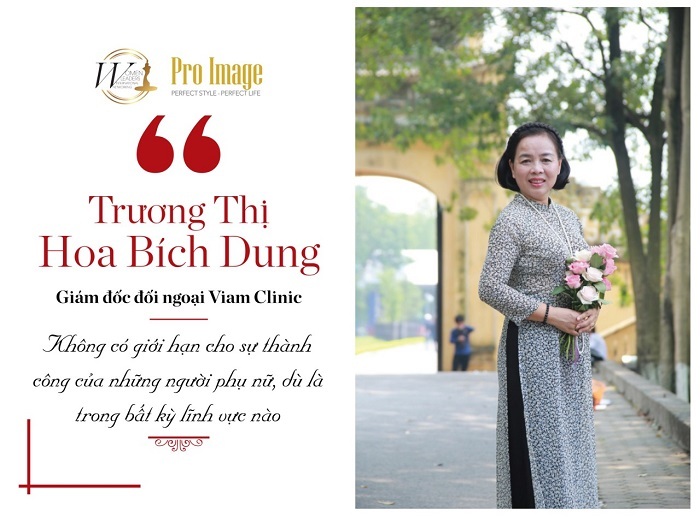 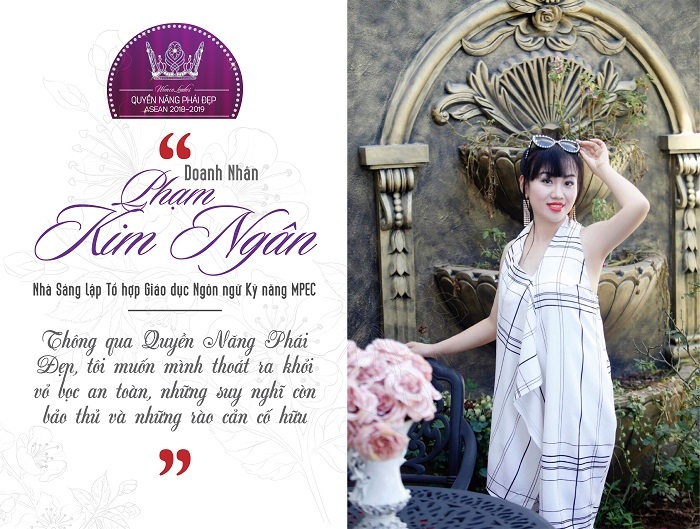 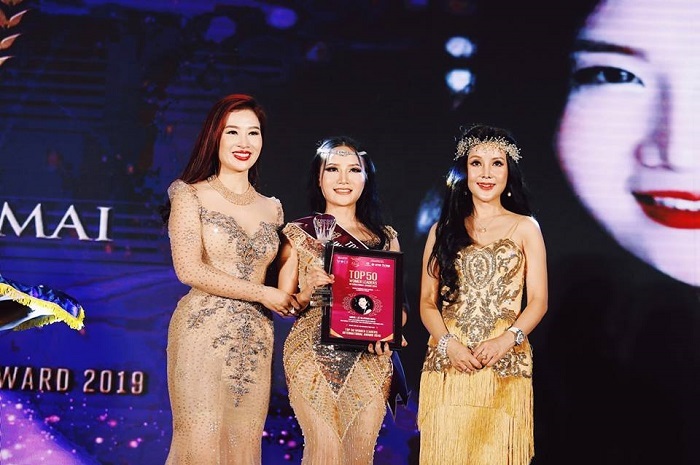 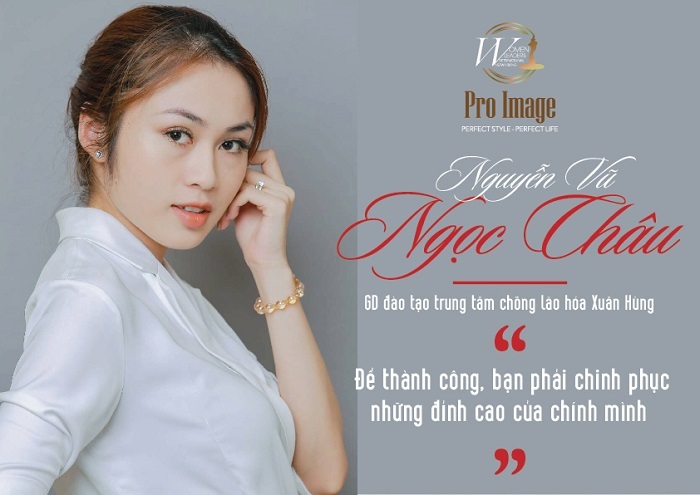 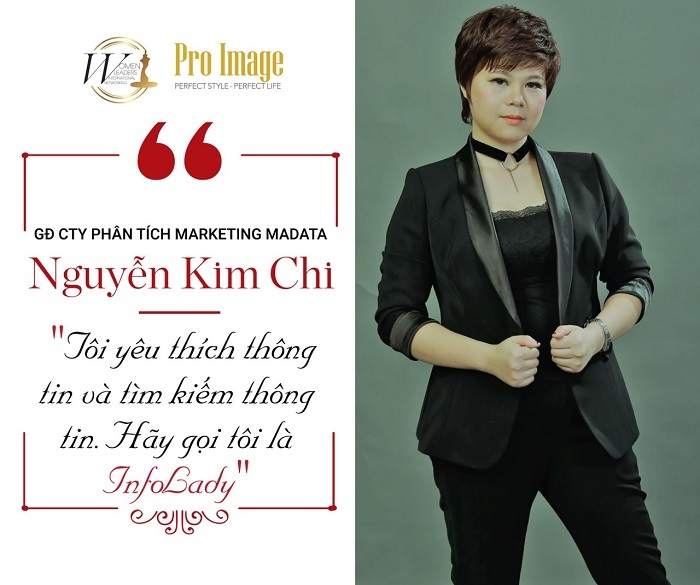 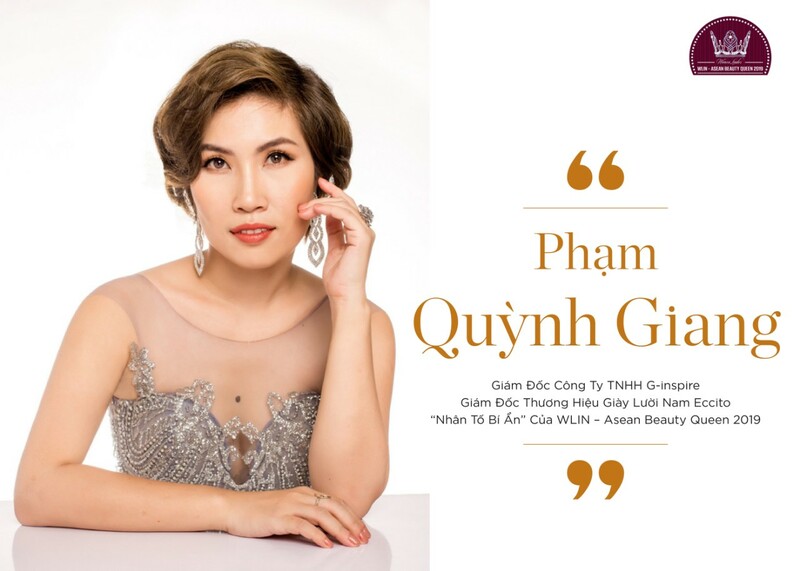 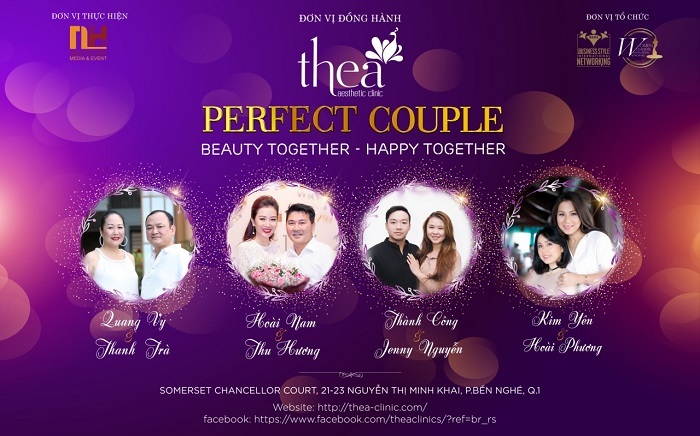 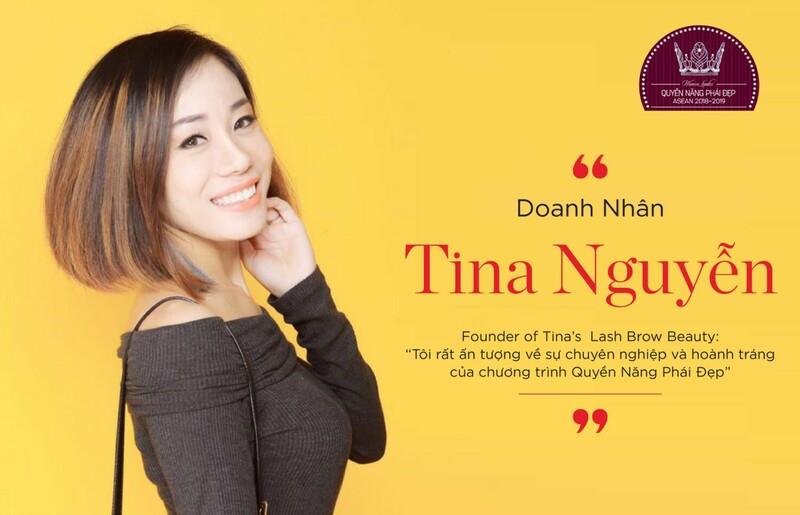 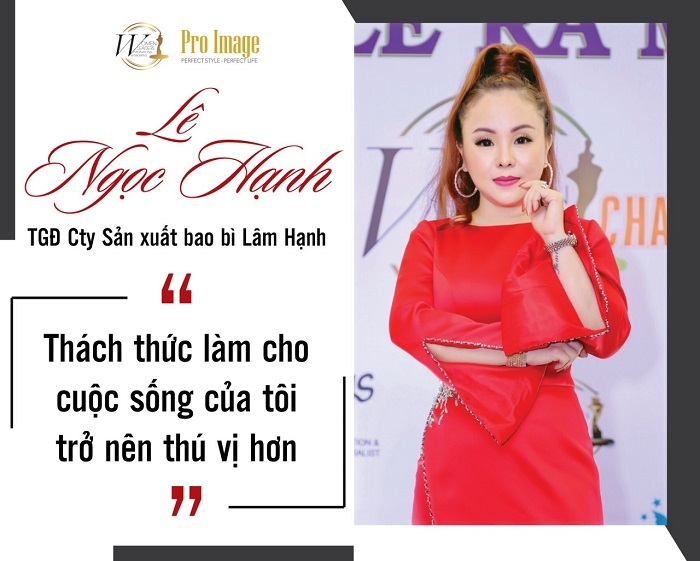 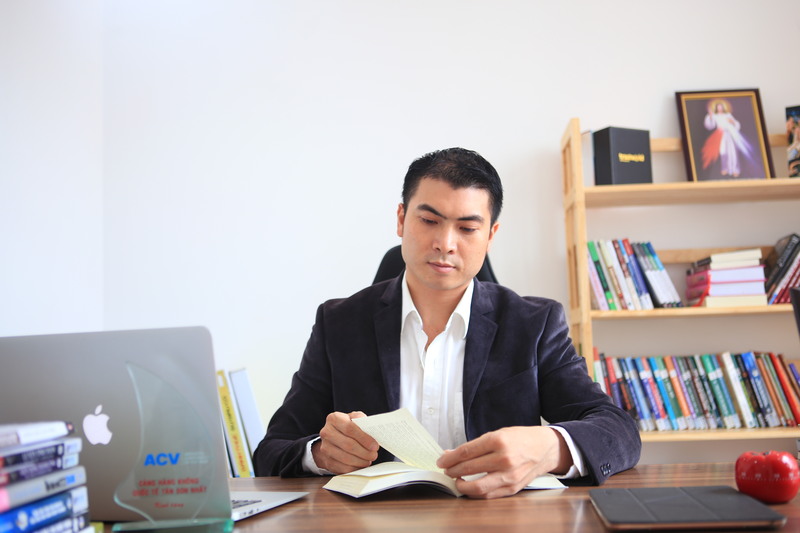 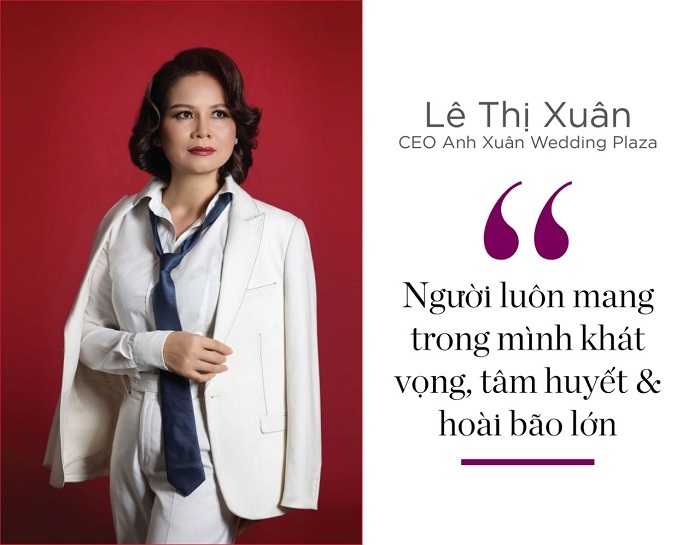 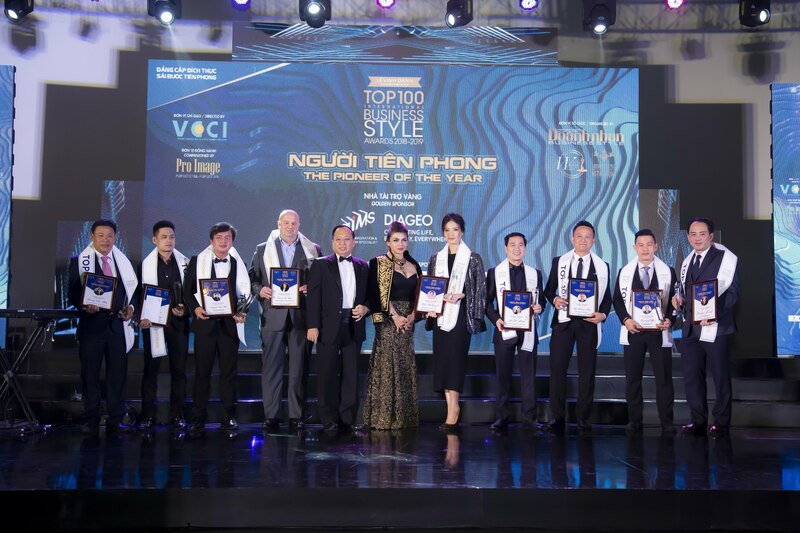 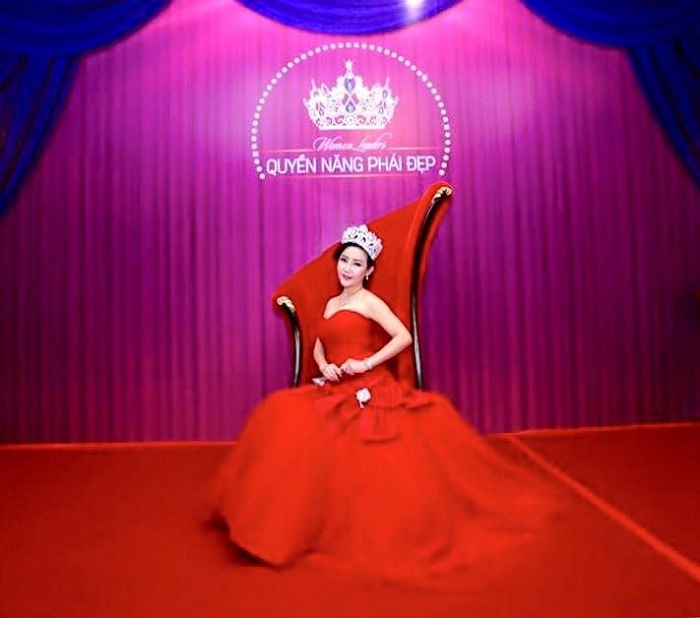 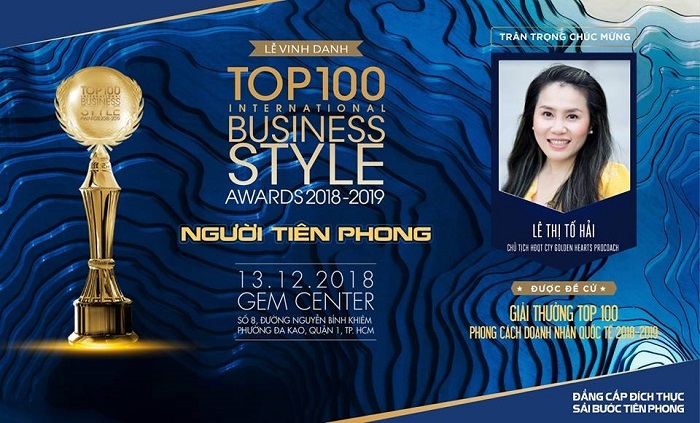 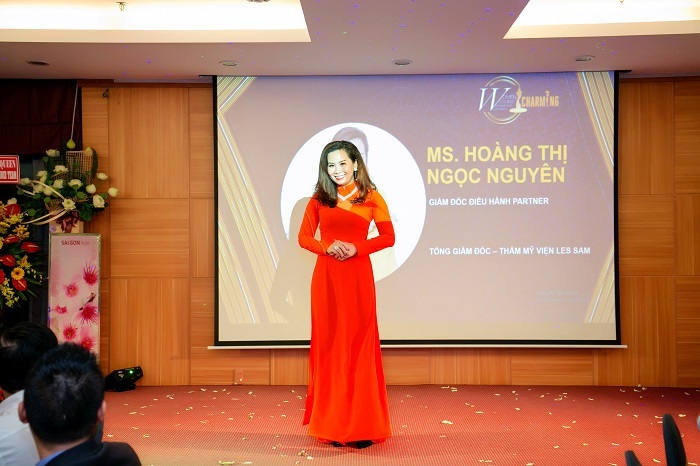 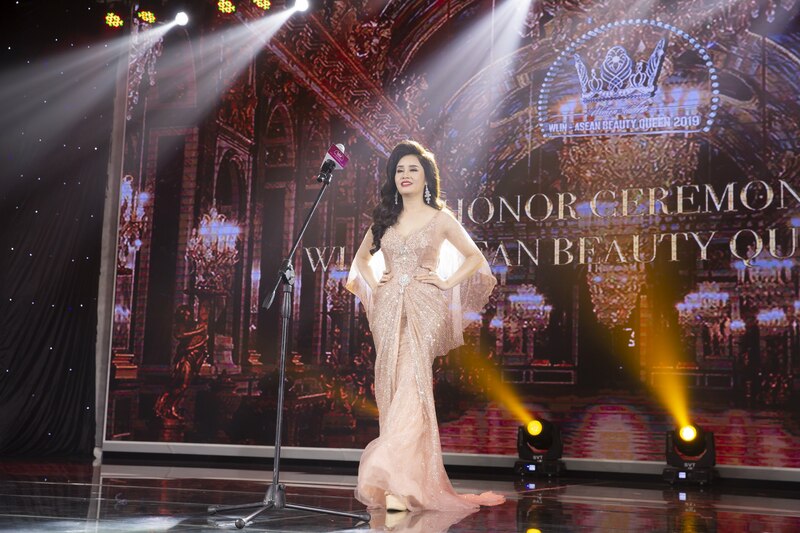 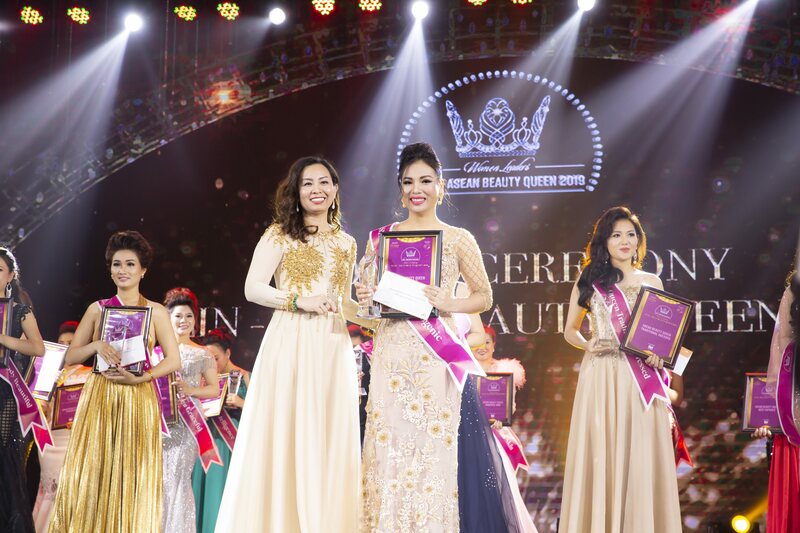 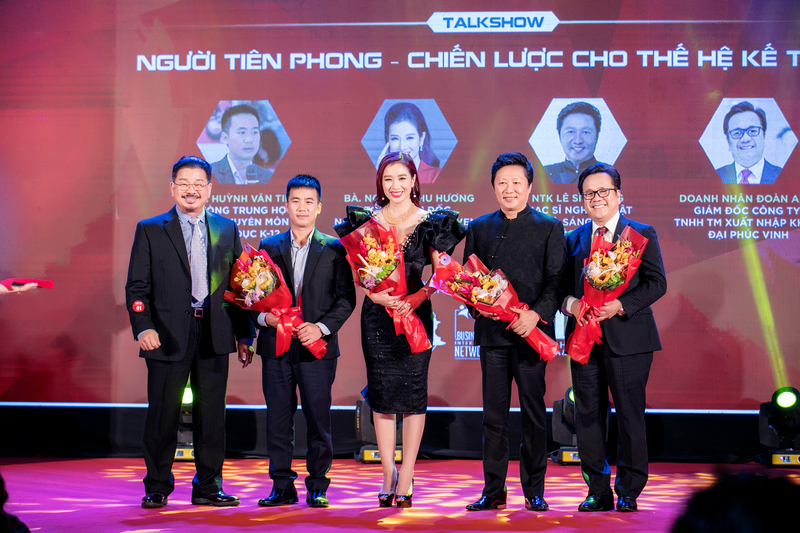 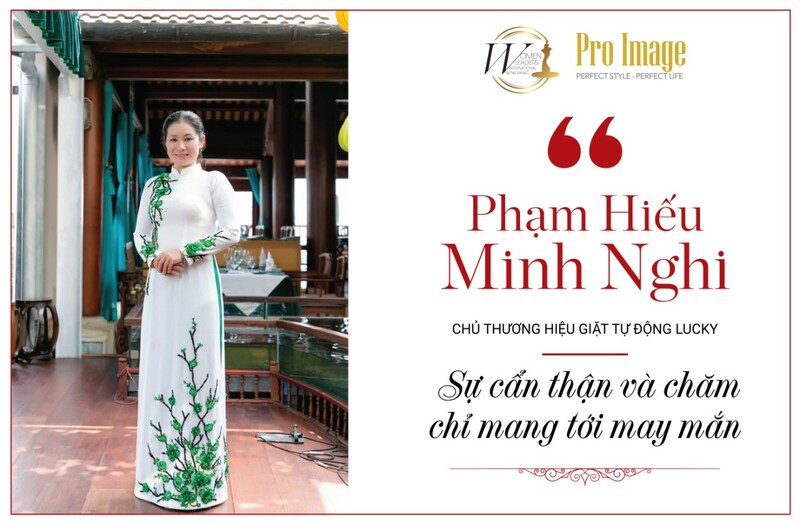 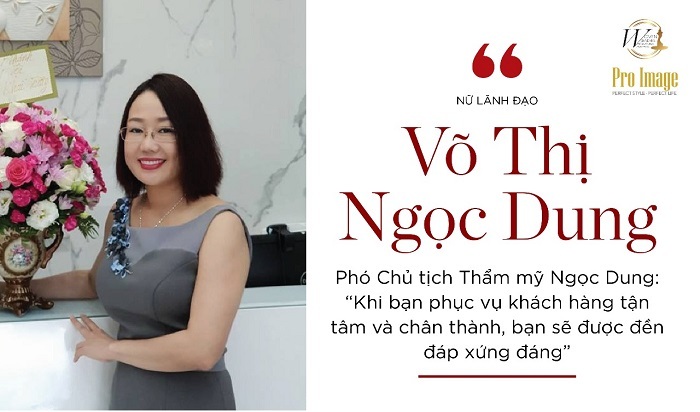 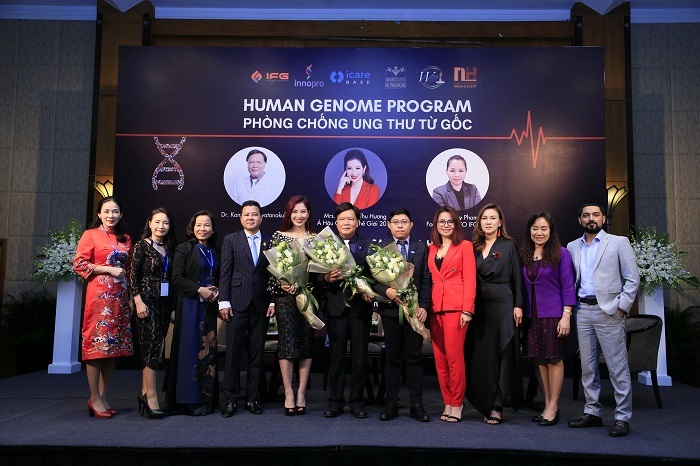 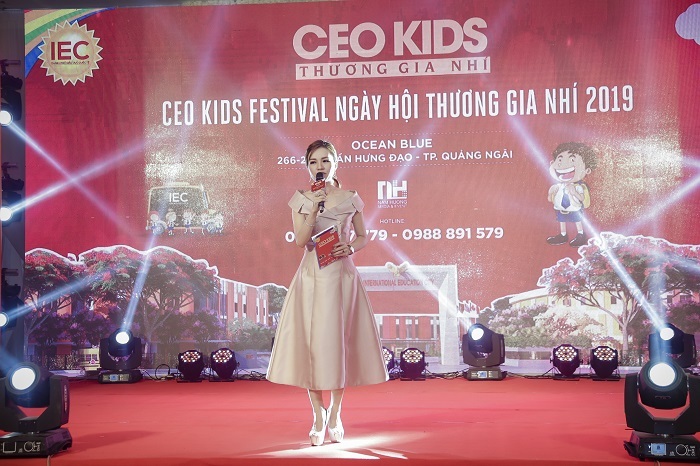 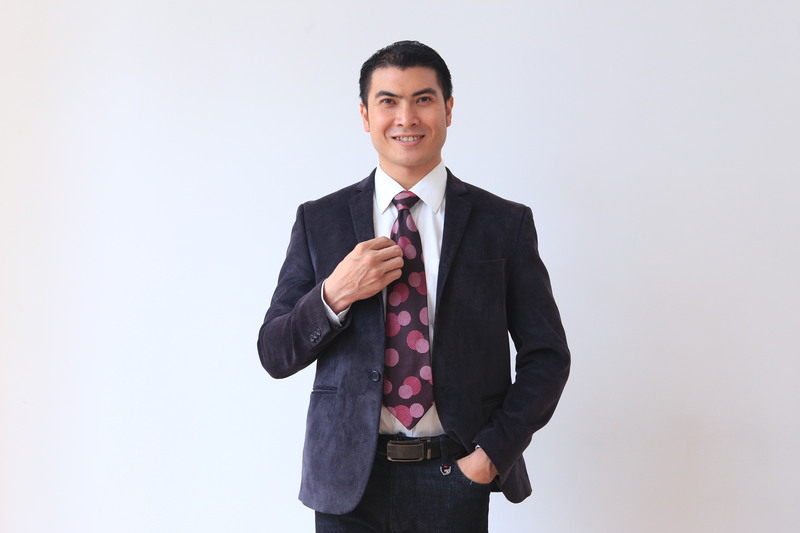 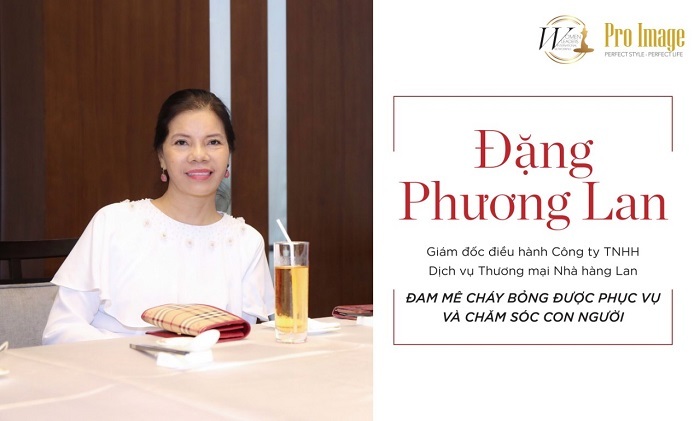 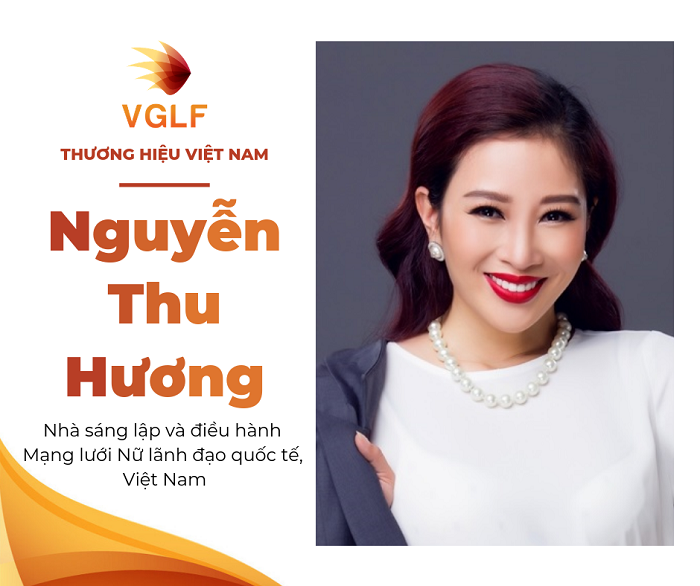 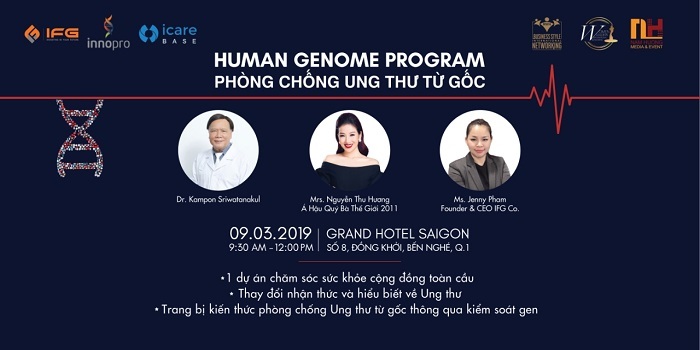 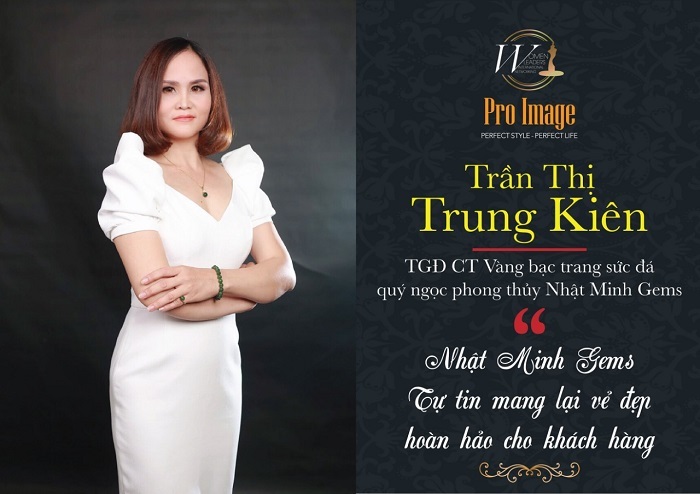 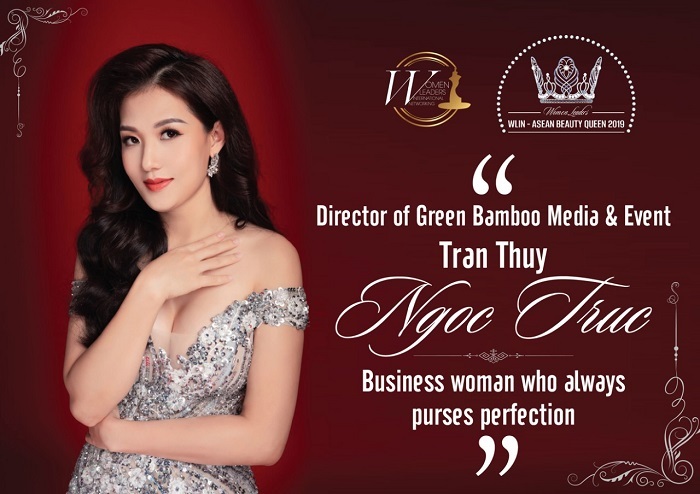 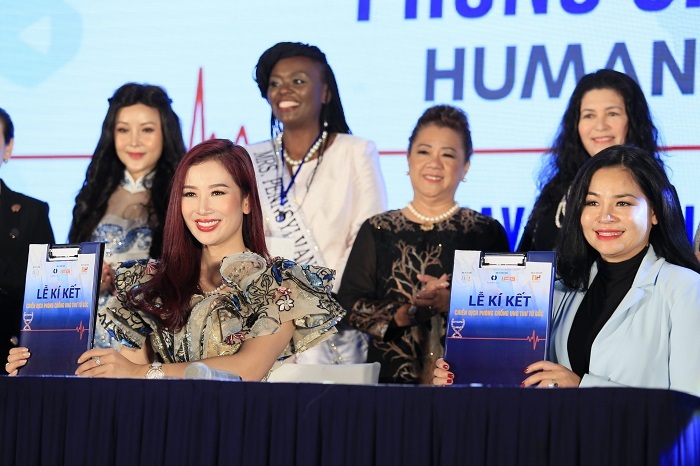 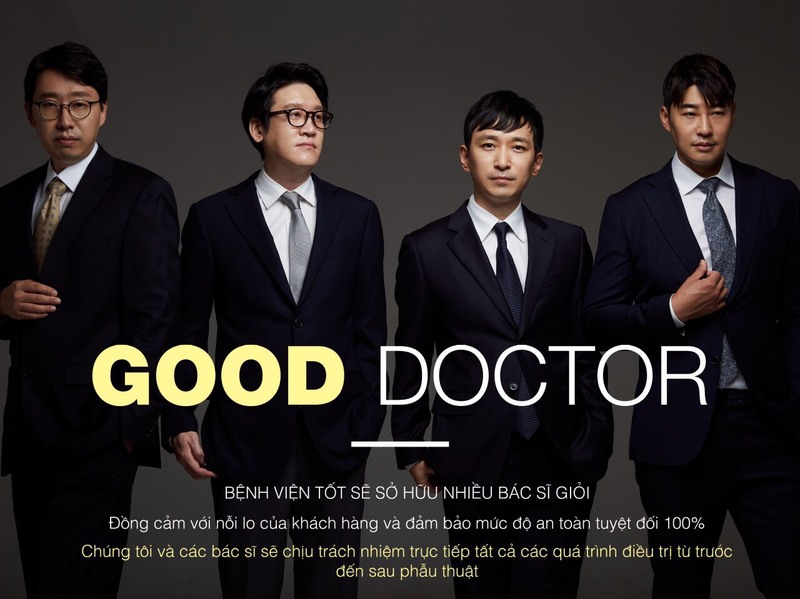 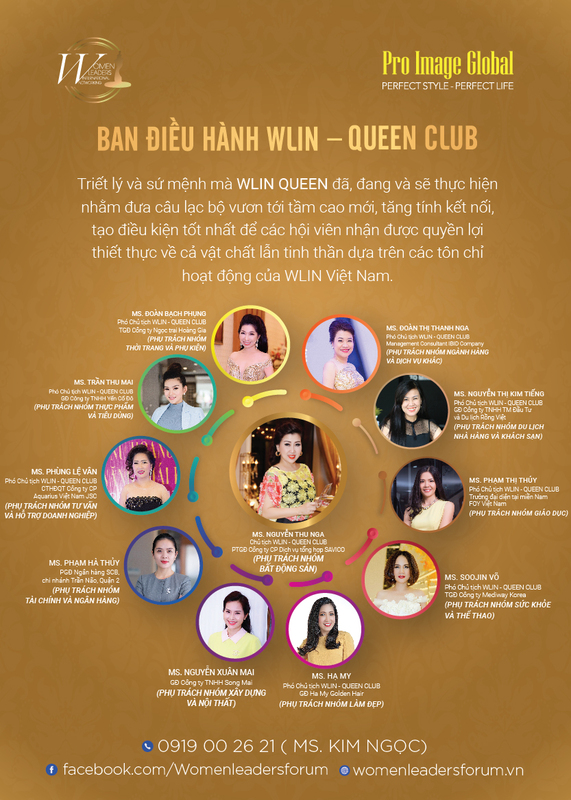 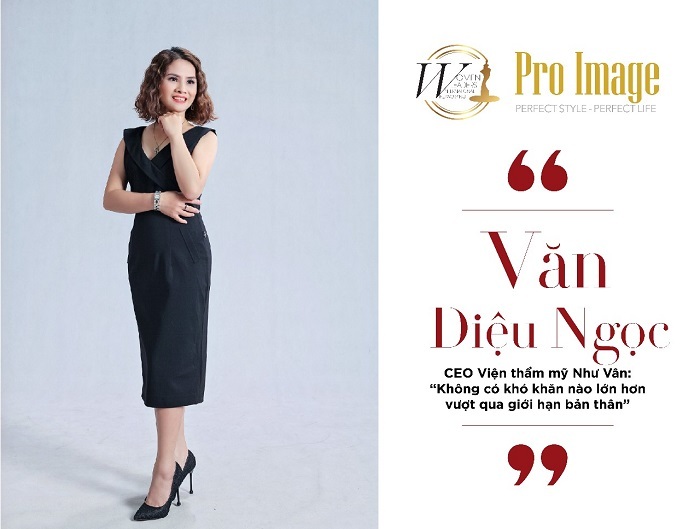 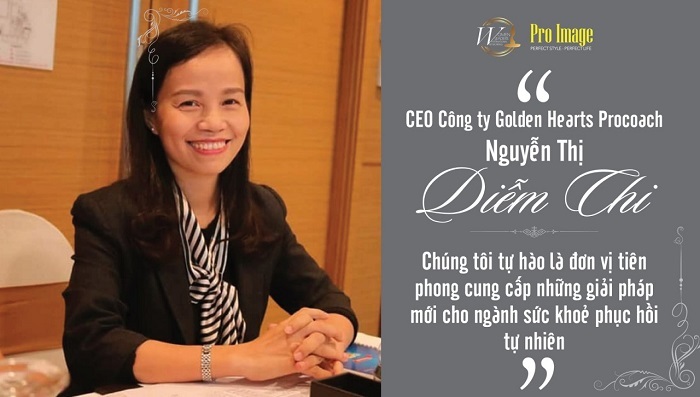 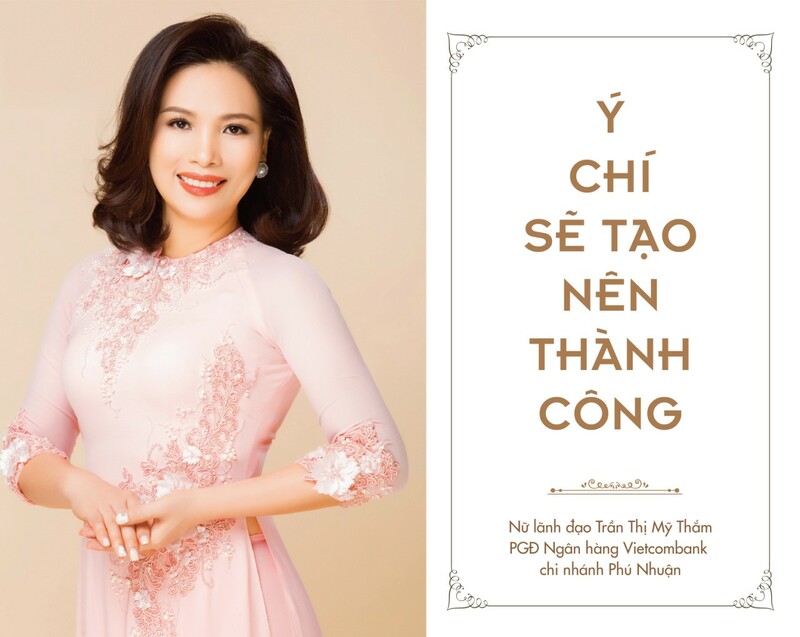 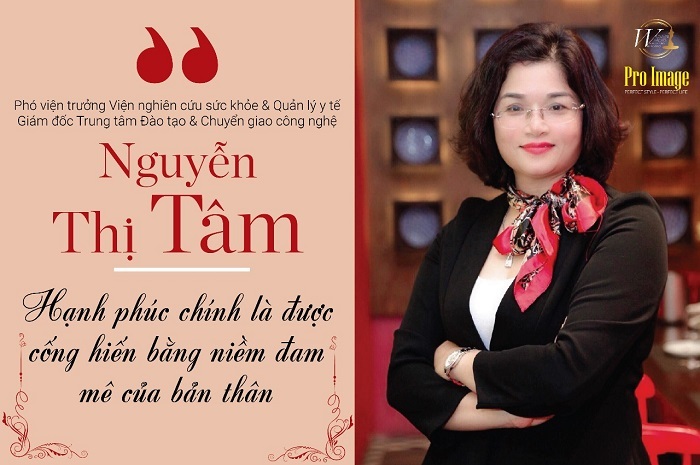 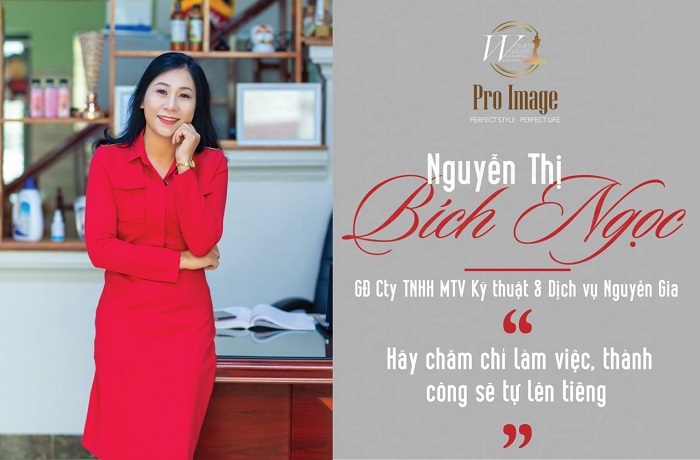 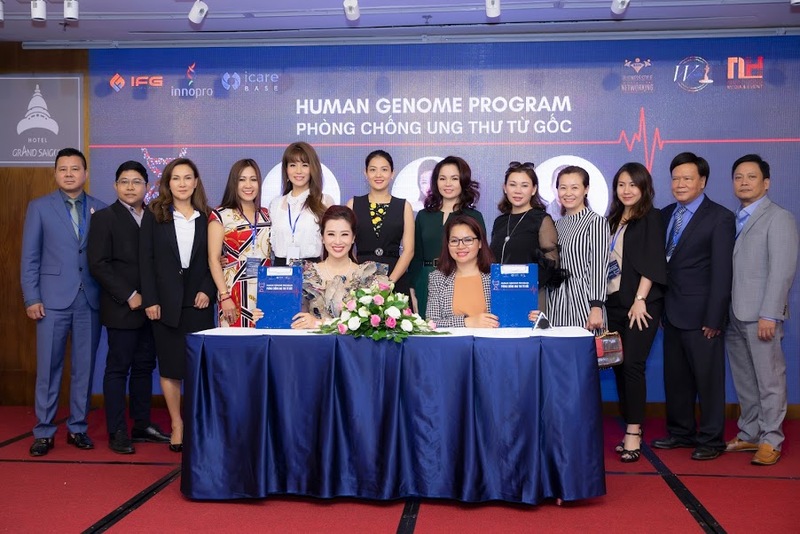 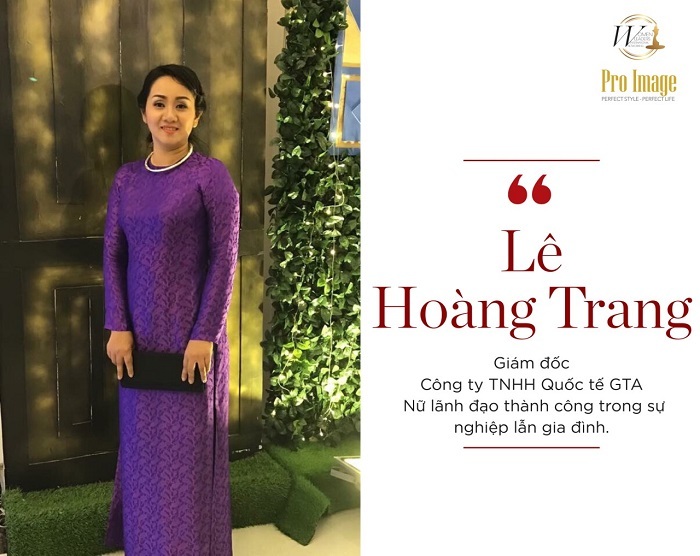 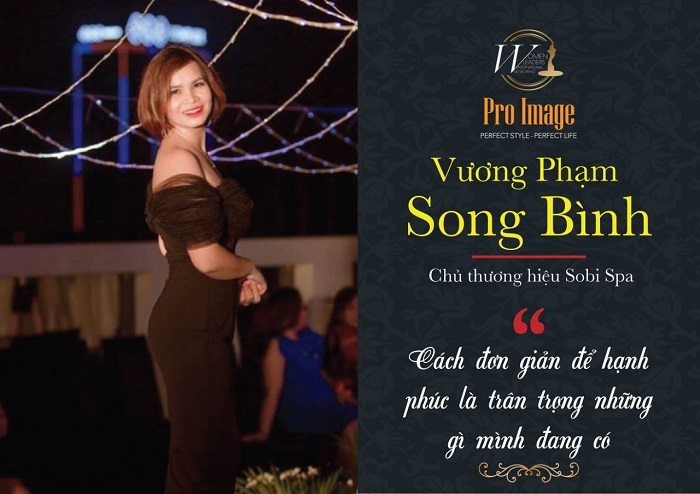 Le Thi Tam – General Director POTIV Commercial Service LTD.
Media Sponsors: Young Media, Business leisure, Giai Tri so, Dien tu doanh nhan Vietnam, Phu Nu Hien Dai, Nhip Cau Thuong Hieu, Doanh Nhan & Doi Song, Lifestyle, L’officel, Thoi Bao Kinh Te Vietnam, Home TV channel, Hi TV channel, HTV9, Truyen Hinh Phap Luat Vietnam, Young Media Magazine, International Face Magazine, Doanh nghiep & Thuong Hieu Magazine.